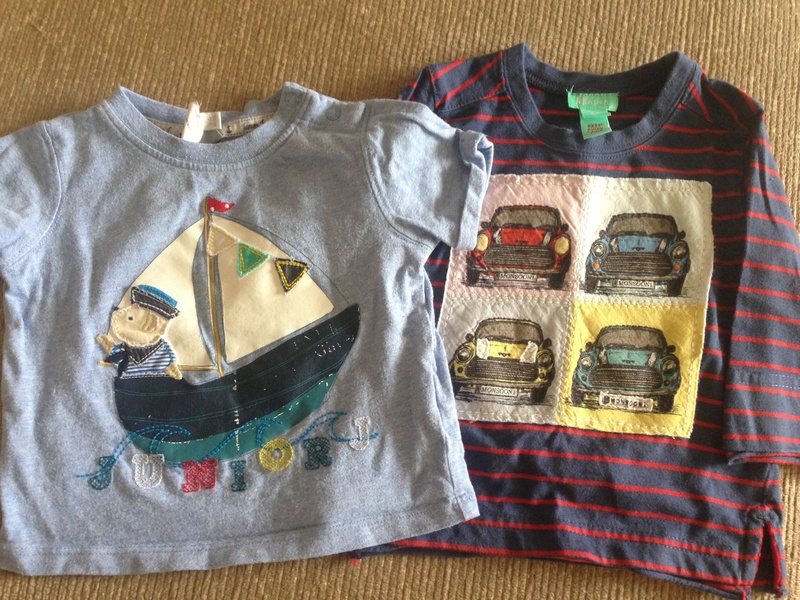 Another NCT Nearly new sale haul! 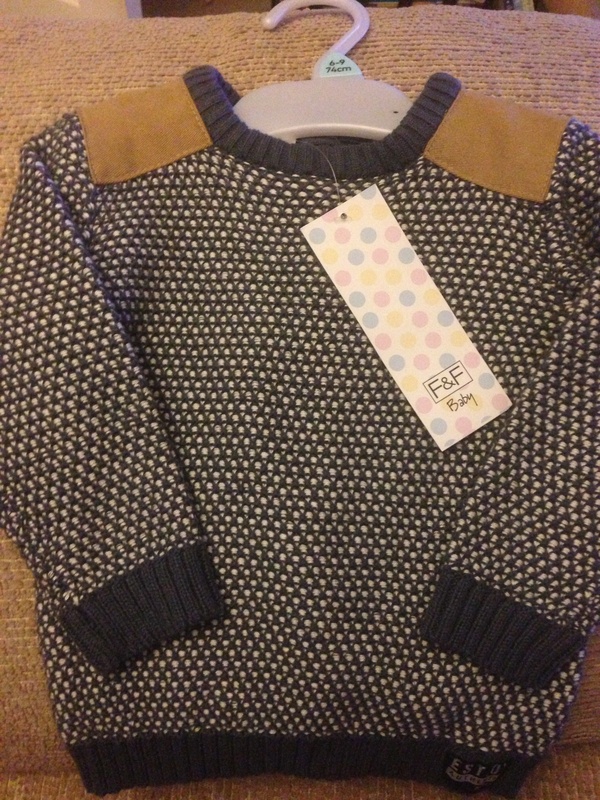 As well as hoodies and cardies we need some long-sleeved tops so got these… this one is from Next and I love that it has detail on the back… only 50p! 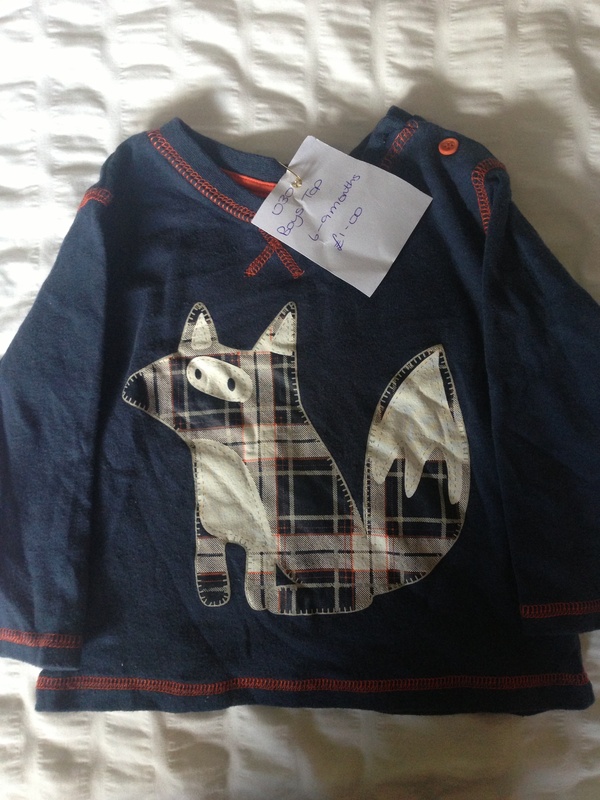 This one is perfect for Autumn – foxes seem to be ‘in’ at the moment! 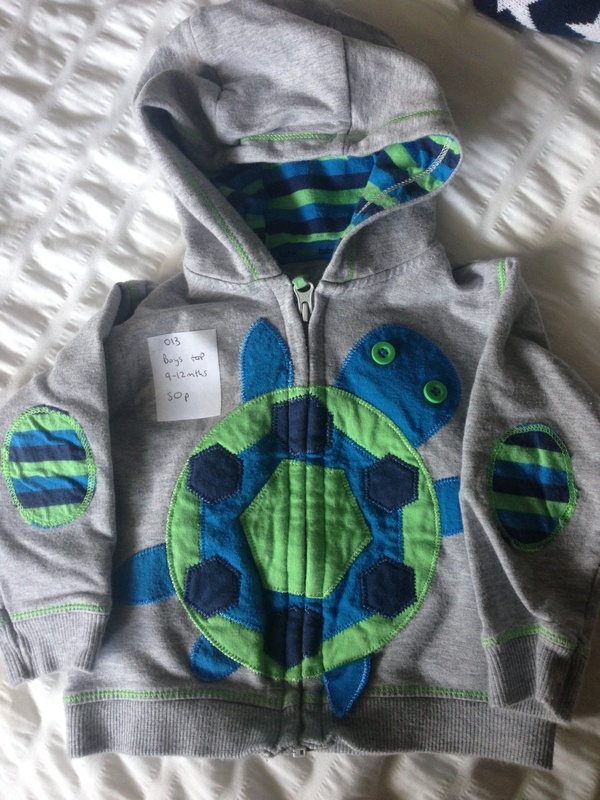 This was £1 and originally from George at Asda’s. 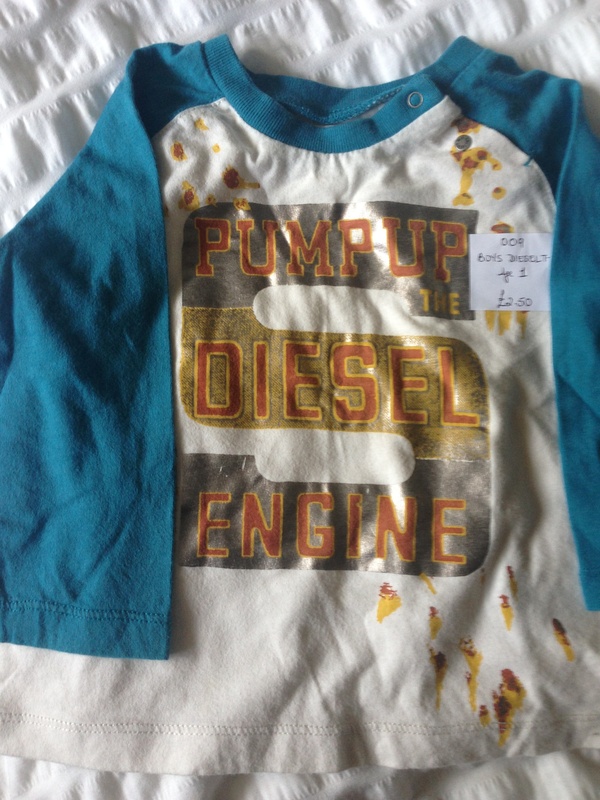 Another long-sleeved top, this time for when he’s a year old – a bit forward-thinking perhaps but it’s a Diesel top so I HAD to buy it!! 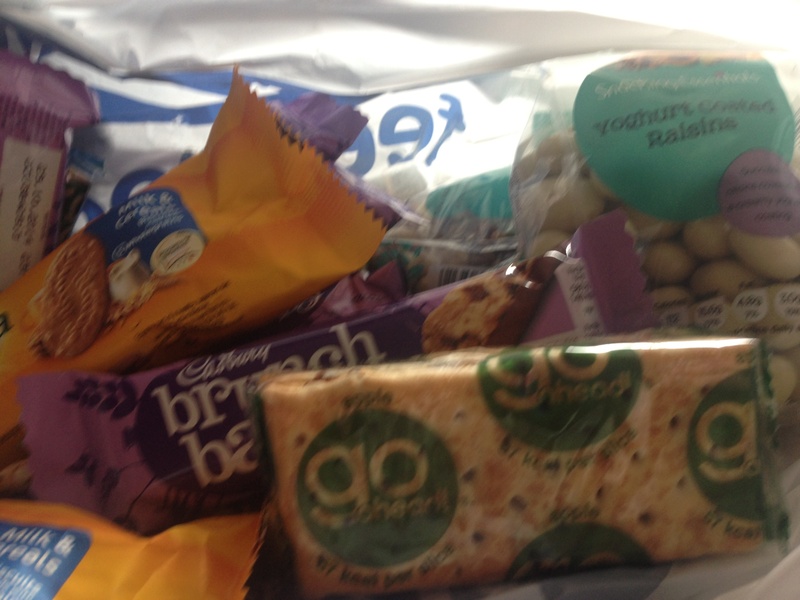 This cost £2.50 but it originally would have cost about £28 (!!) 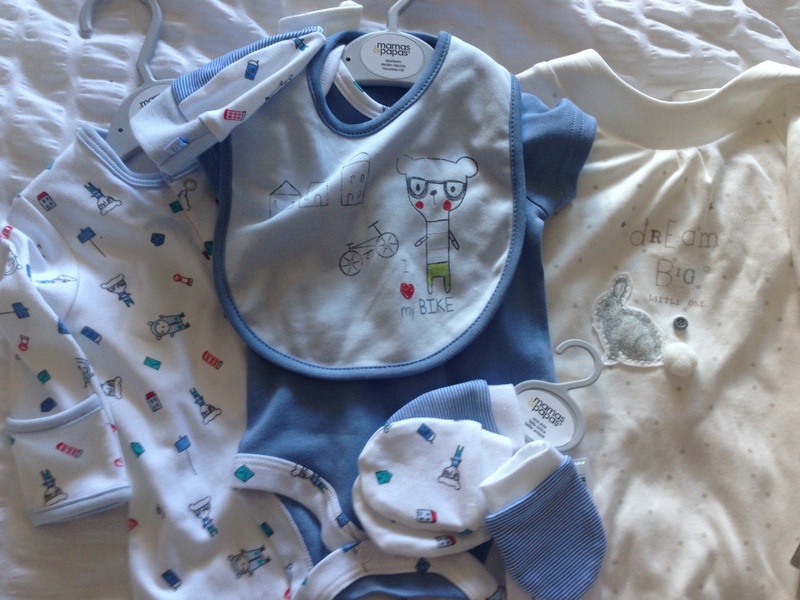 – I must say the fabric does feel more expensive than any other baby clothes we’ve had thus far – I would never spend that much on 1 item for him so it’s nice to get it at such a good price! 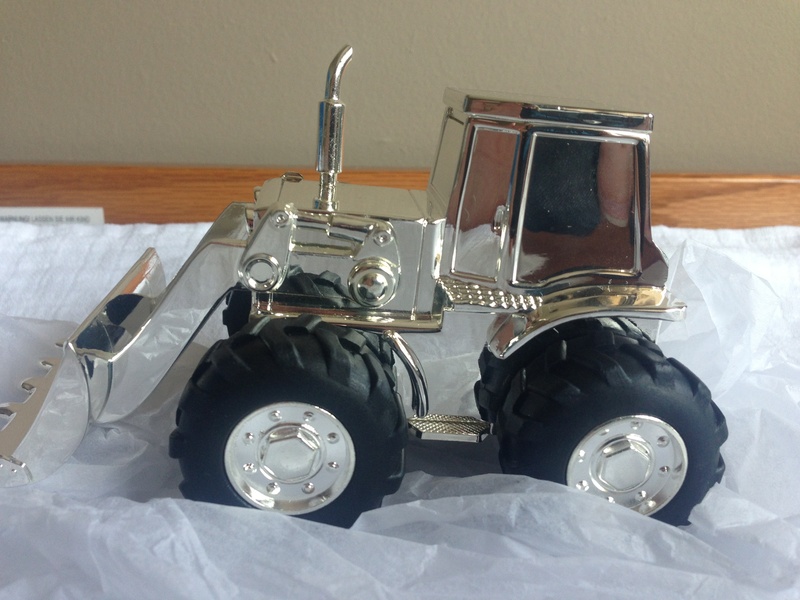 So I’ve said it before and I’ll say it again – it is worth checking out NCT sales in your area – much less hassle than ebay and you get to help raise money for the NCT charity in the process 🙂 The next one in Cardiff is scheduled for 7th March 2015. 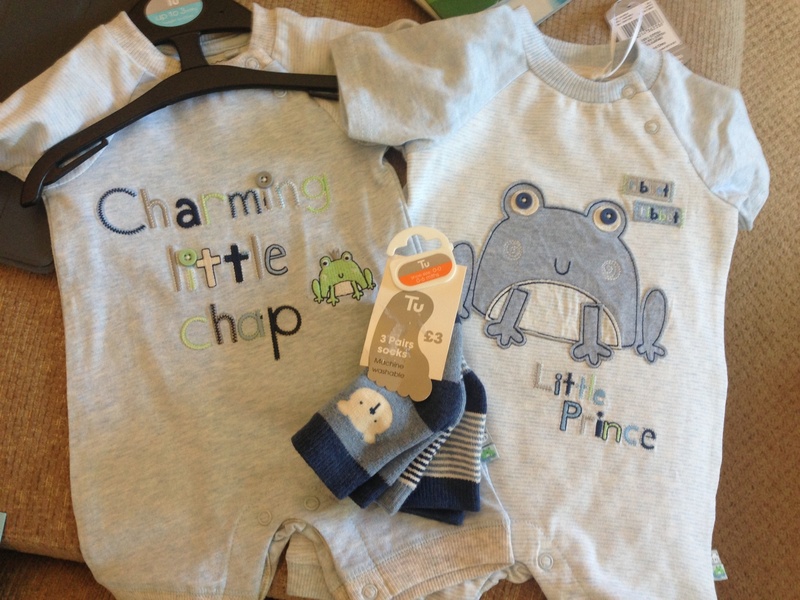 Author yummybloggerPosted on November 25, 2014 December 1, 2014 Categories cardiff, fashion, haul, parenting4 Comments on Another NCT Nearly new sale haul! 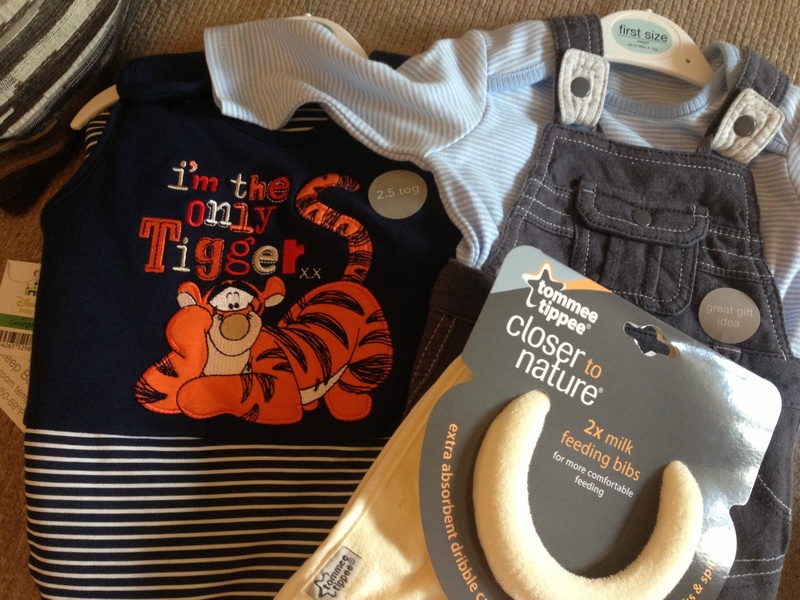 I love seeing what other people buy, so thought I’d share with you some of our recent buys…. 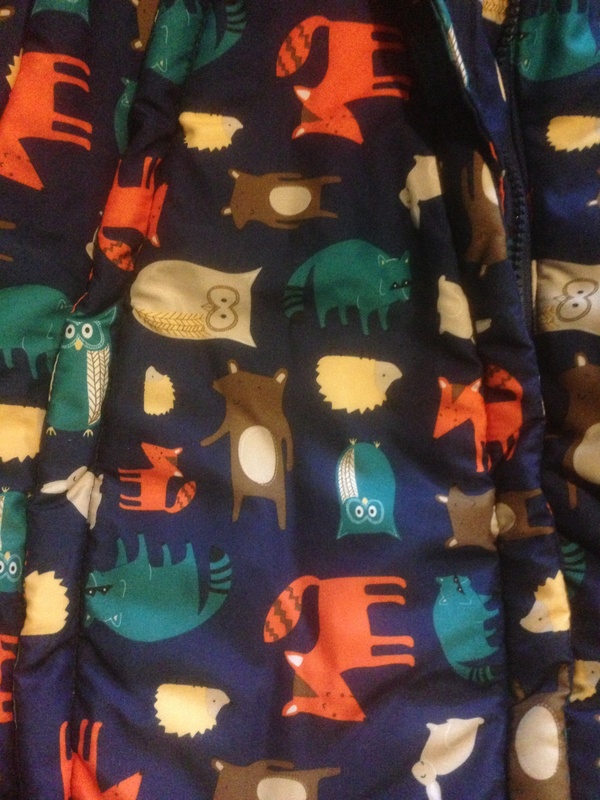 This snowsuit is actually the main reason I wanted to do this post – I LOVE it so much and *HAD* to share it with you! 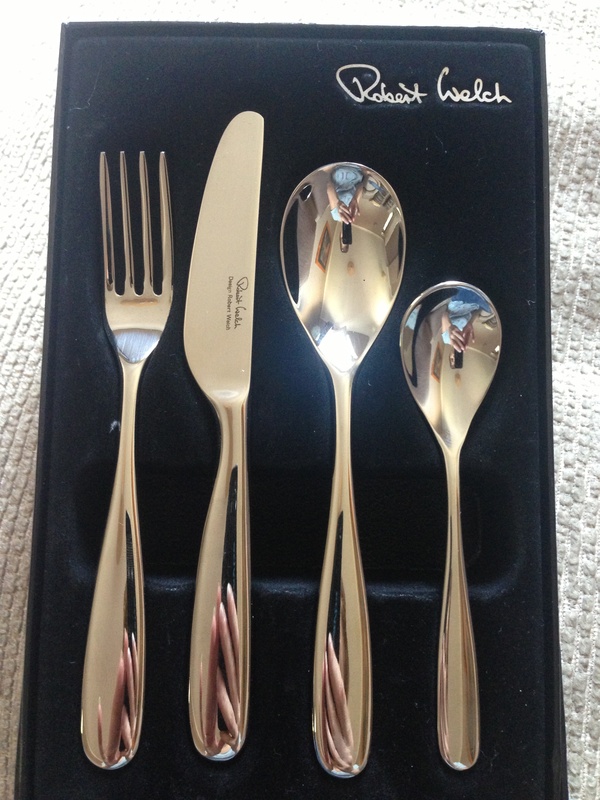 It’s from John Lewis, costs £28 which I think is relatively good value actually – it’s great quality! 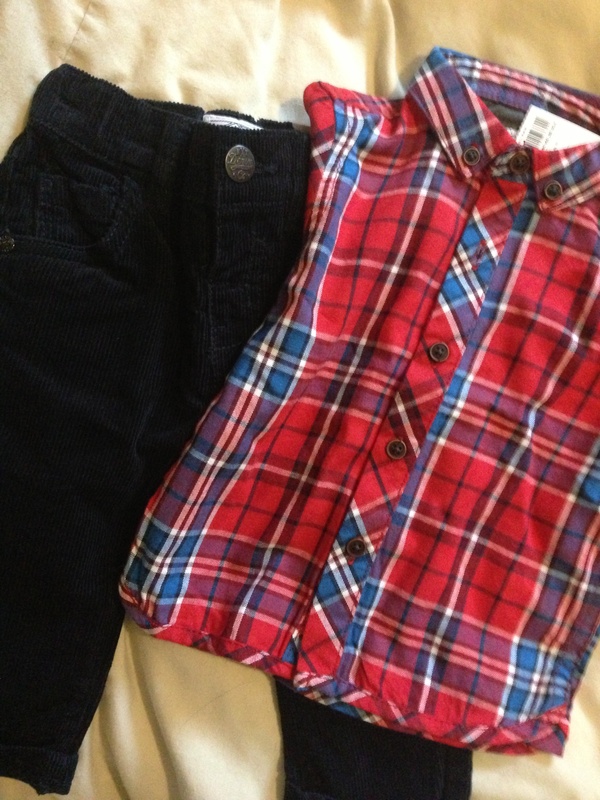 A family friend also got baby W some lovely things from Next, black cords,a red checked shirt and a cool long-sleeve top…. 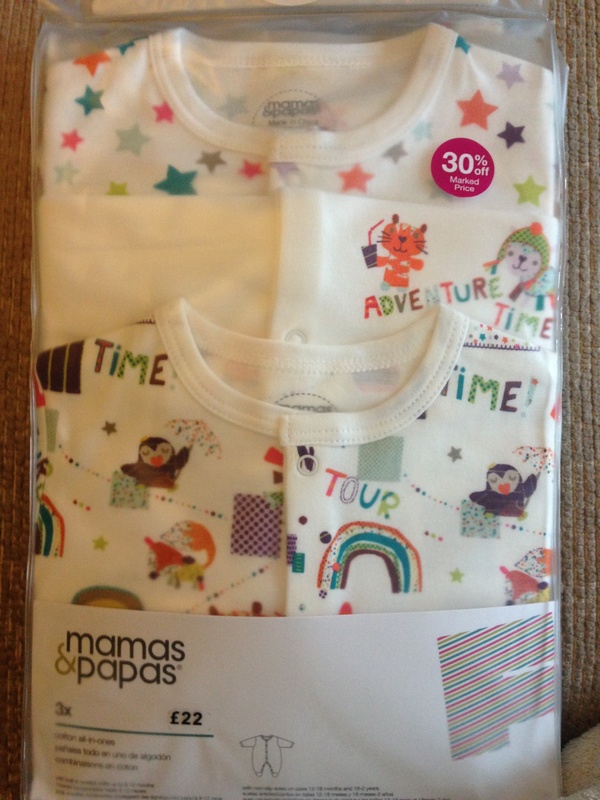 I love Mamas & Papas but I’ve never bought any clothes there as they’re pricey, so I was delighted to pick up a couple of bargains there last week…. 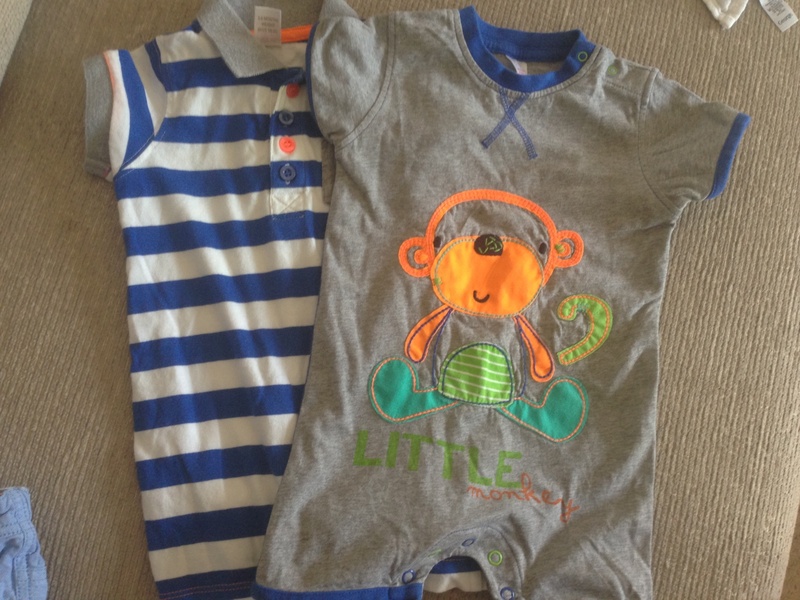 Some cool sleepsuits that were 30% off (so about £15) and some jeans that were reduced from £30 to £7 as they were originally part of a set – W needed some new jeans and I love a bargain! 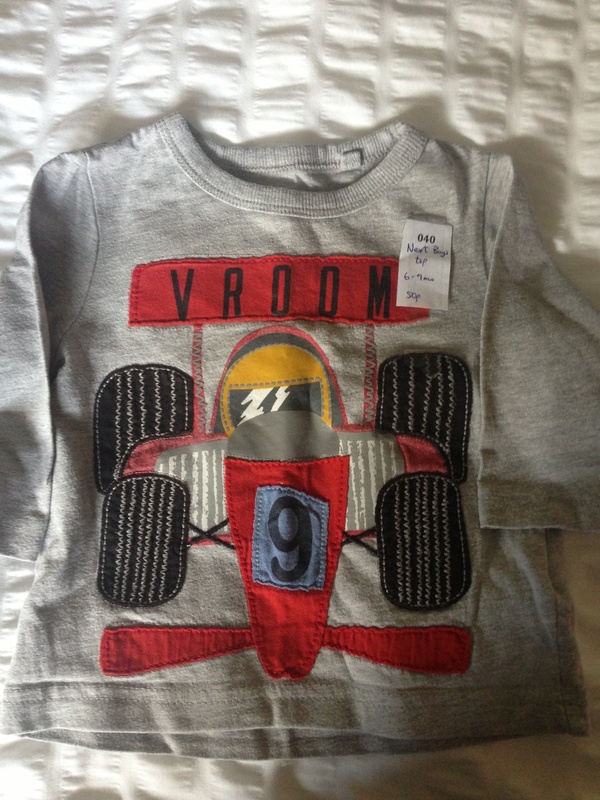 They have some lovely baby boy clothes in Tesco at the moment, I think I will go back for more stuff as and when we need it, but I couldn’t resist buying these items yesterday – a cool long-sleeved T-shirt for £4 and a GORGEOUS jumper for £9 – I want to wear that jumper myself! 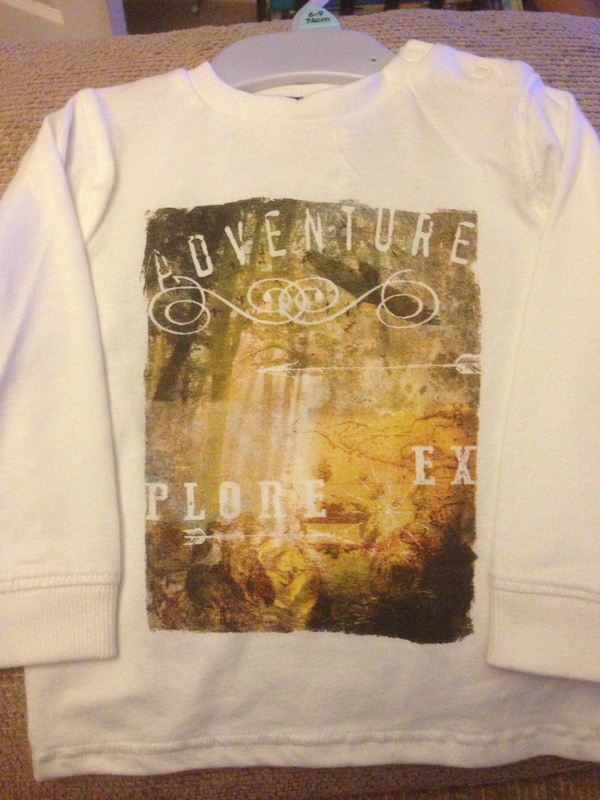 The detail and quality is fab and am sure it would cost about £30 at places like Next! 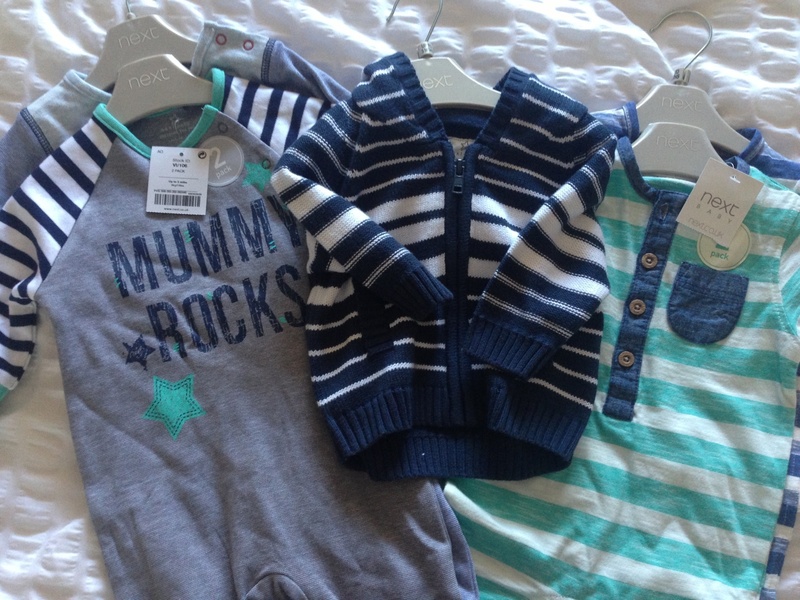 And with all this shopping for baby W, it’s only fair that mummy gets a few treats too! 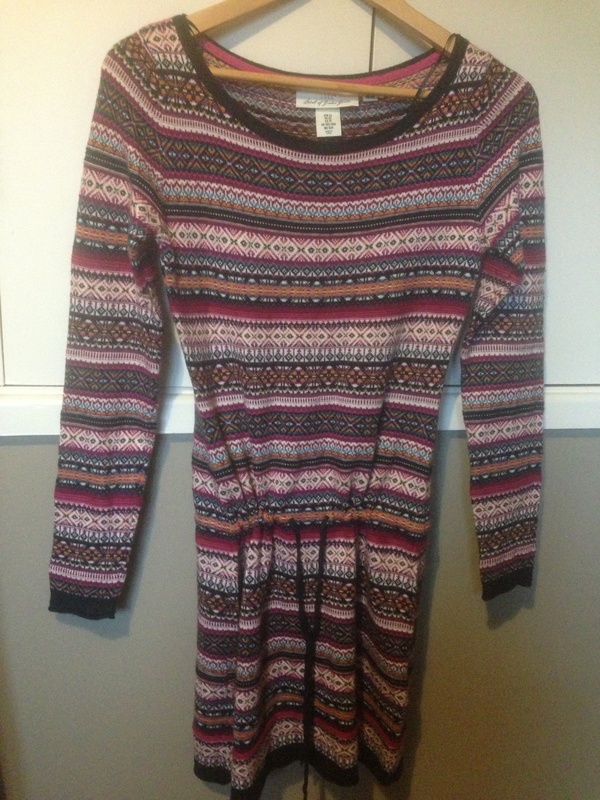 So here’s a dress and jumper I bought from H&M – I think they were about £25 each.. 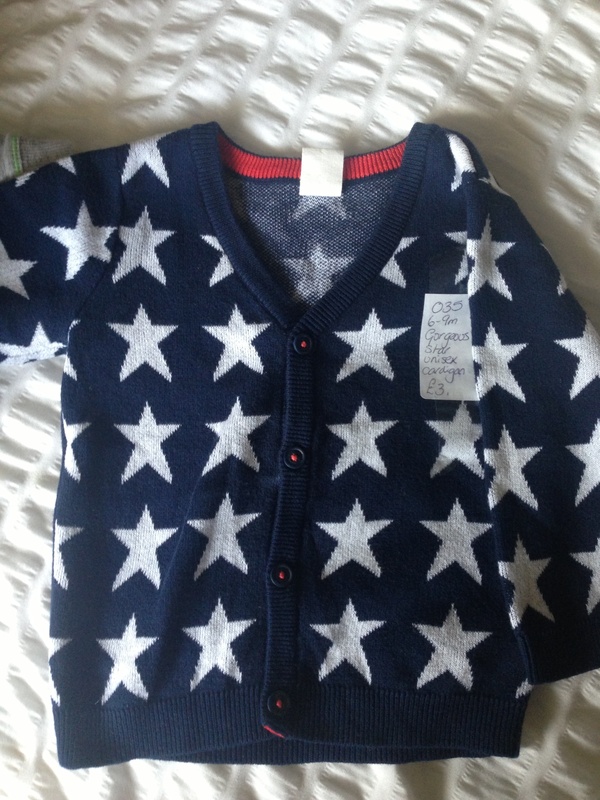 I love the jumper anyway but it has a bonus which is that baby W has a very similar fleecy all-in-one so we have a matching outfit! 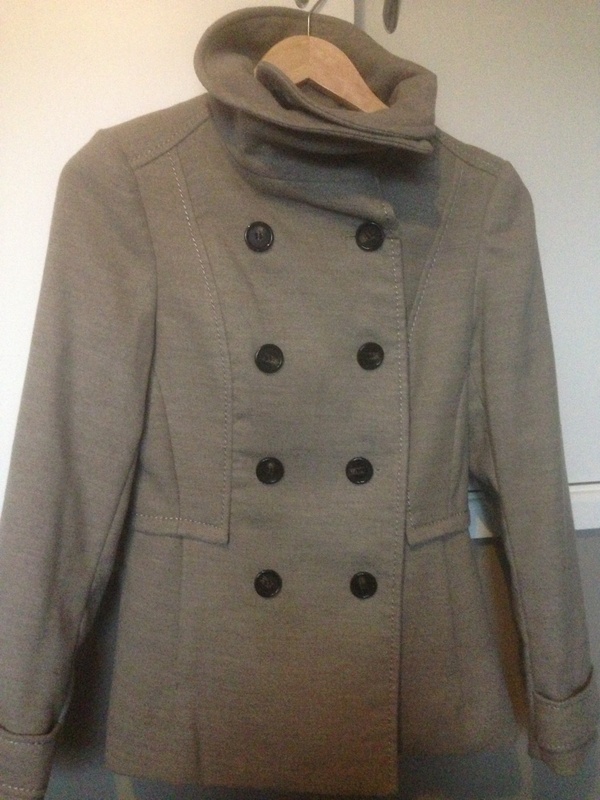 Also from H&M, a new jacket for the Autumn – I think it was only £35 and I already love it – goes with most outfits and is well-lined and so much warmer than it looks from the outside! 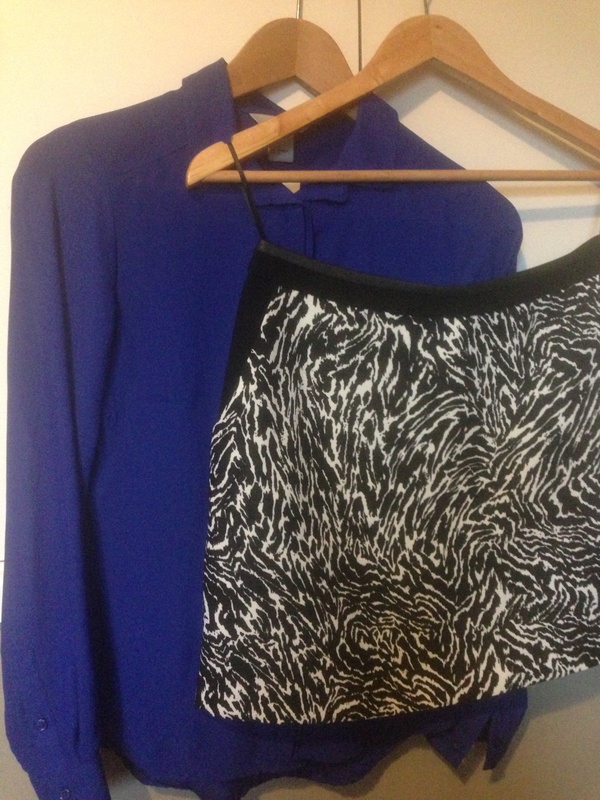 And finally an outfit that I originally thought would be perfect for going back to work but maybe it’s wasted on work… I wore it out last Saturday night on my weekend away with those black heels…. 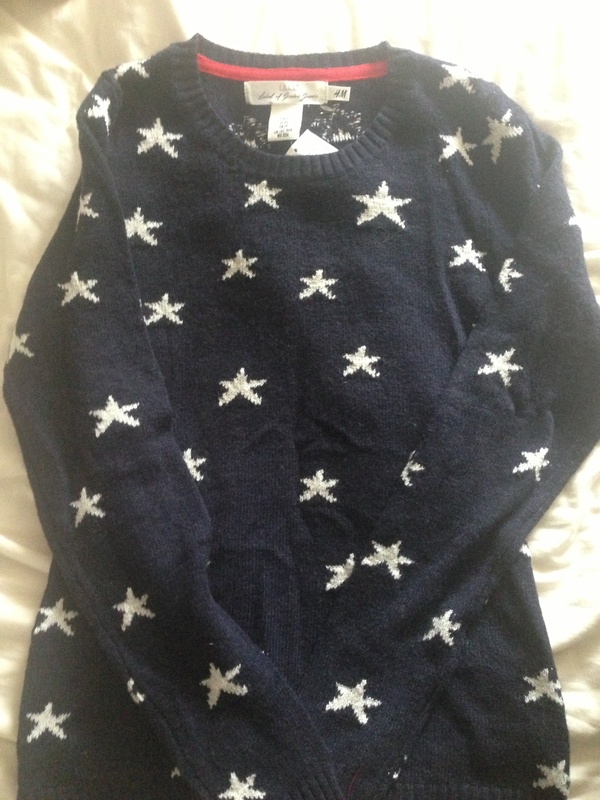 So that’s Autumn/Winter sorted – keep your eyes peeled for a Christmas outfit haul coming up soon! 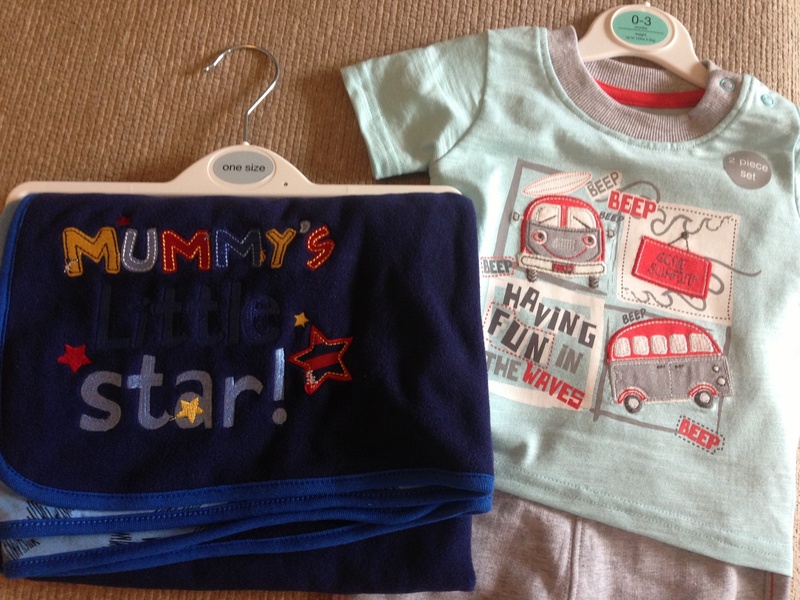 By the time I arrived I was pretty much last in the queue so I feared I’d missed most of the bargains but the place was so big I didn’t need to worry – I headed straight for the baby boy 3-6 months section and pretty much had it to myself… in total I spent £23 and here’s what I got…. 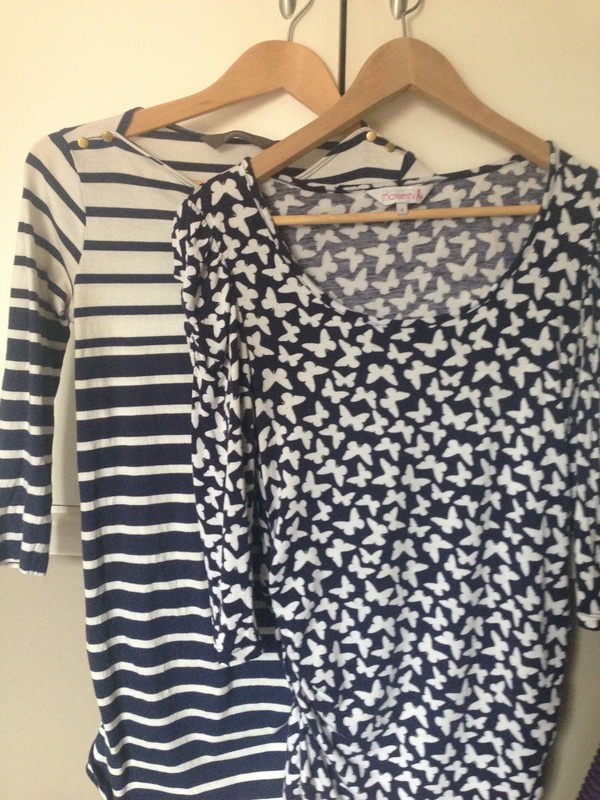 The top on the right is one of my faves – I love minis! 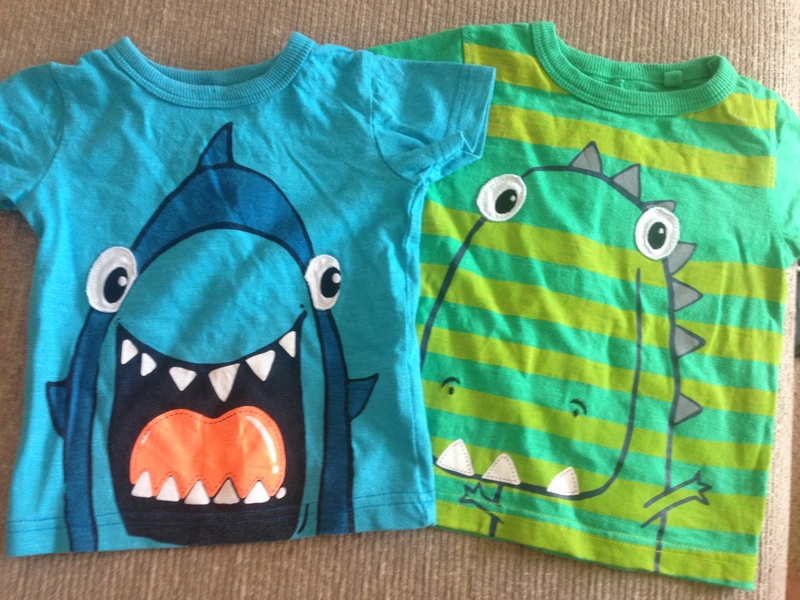 The t-shirt on the left is the worst thing I bought, only because it was slightly bobbly – but at 50p for a Jasper Conran t-shirt I can’t complain! 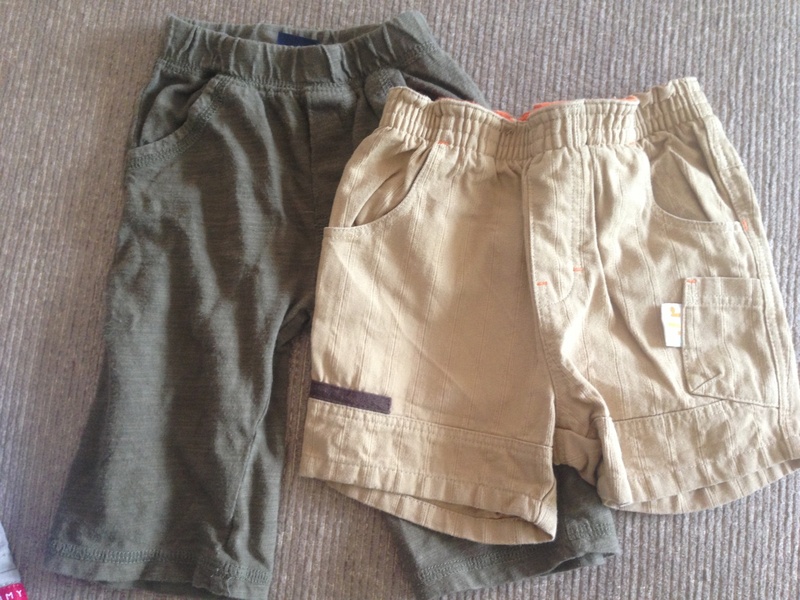 We’re hoping to get away for our first family holiday in September so it was great to stock up on these shorts – all in excellent condition and cute details e.g. 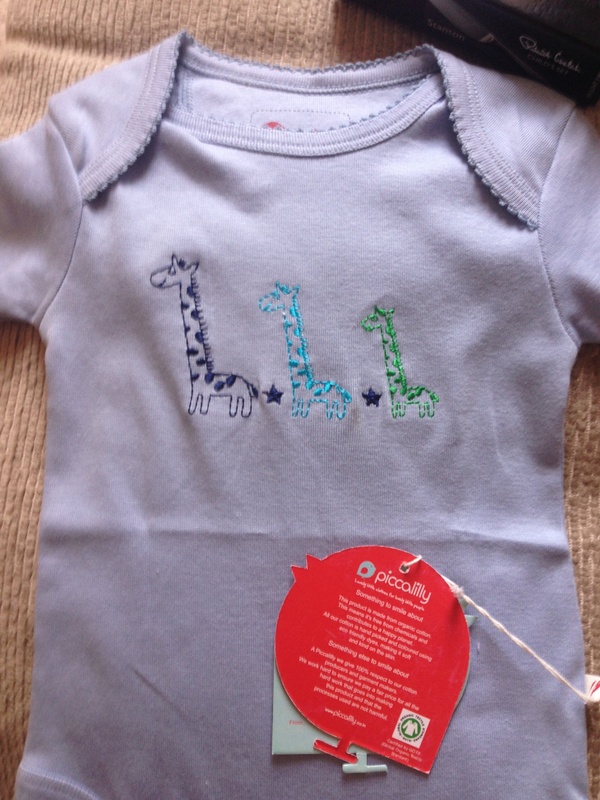 the john Lewis ones have a lovely red lining to contrast with the blue. 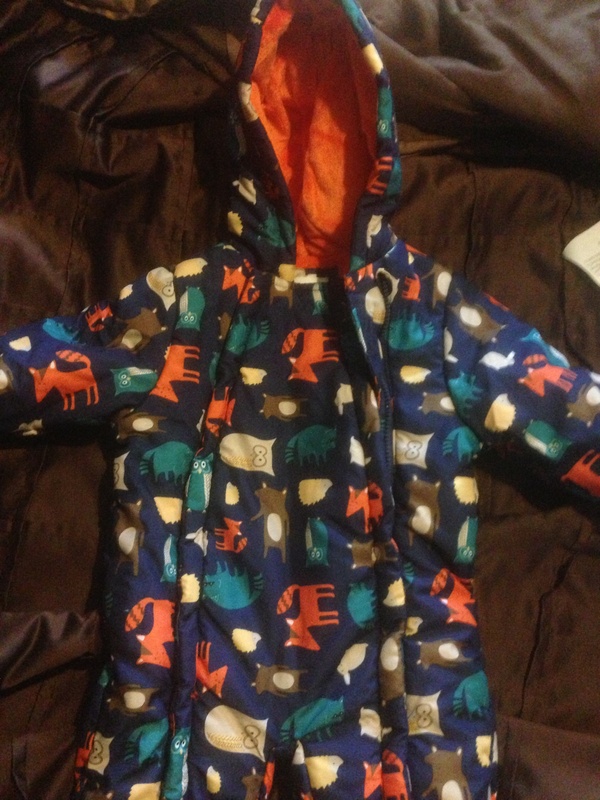 Baby’s first coat! 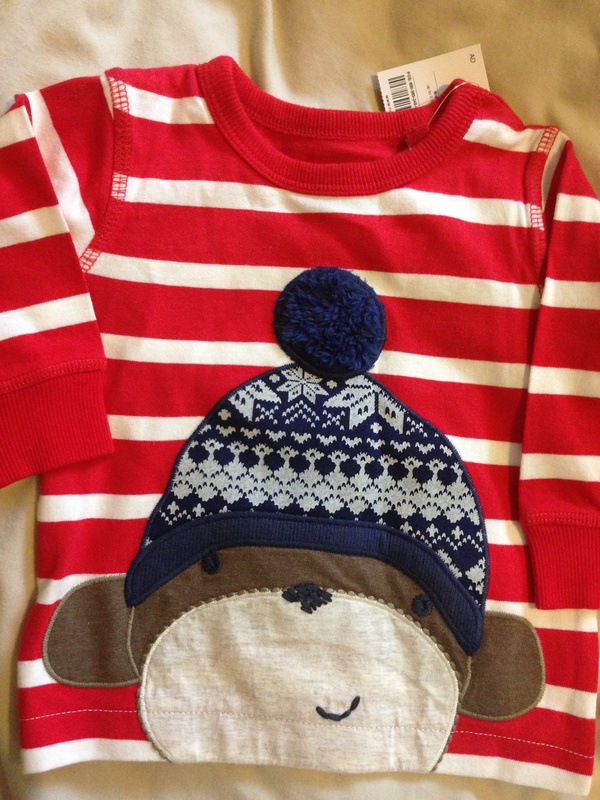 I love, love, love this – I think it will be perfect for those rainy Autumn days! 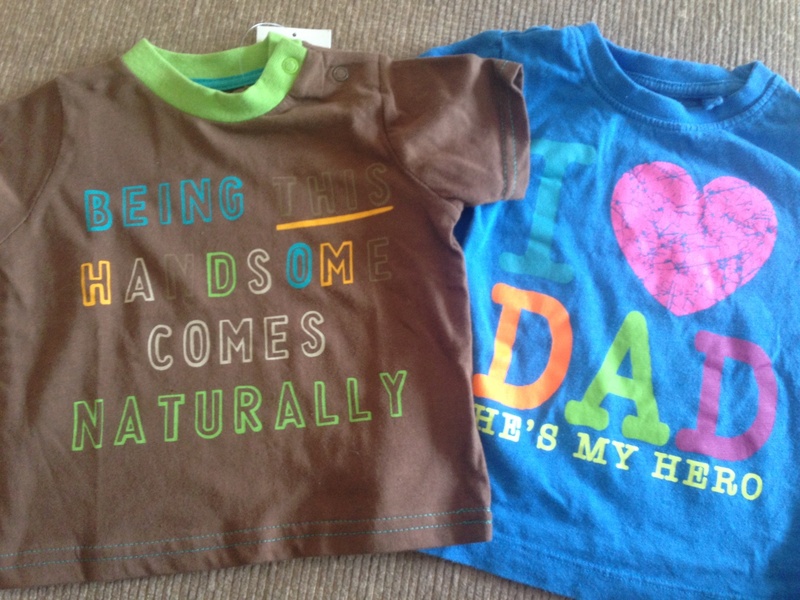 I had to get these Next T-shirts…. 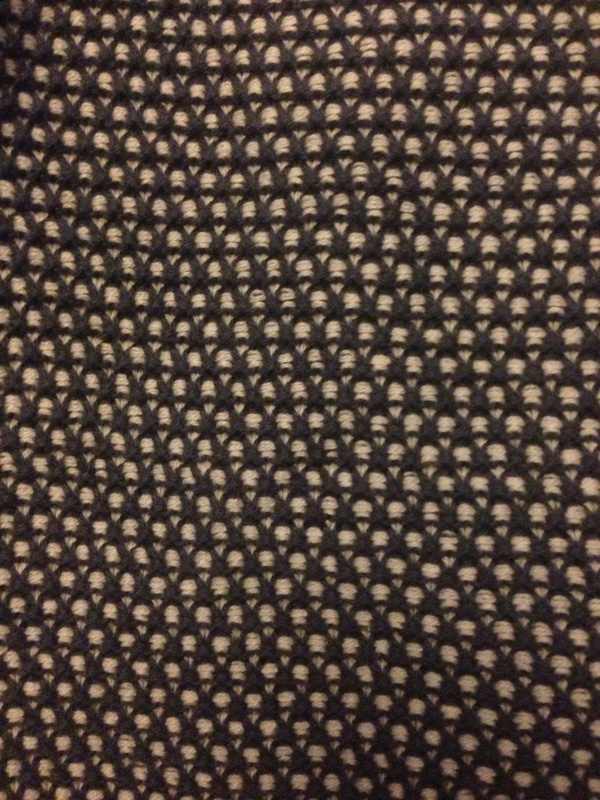 look at the backs! 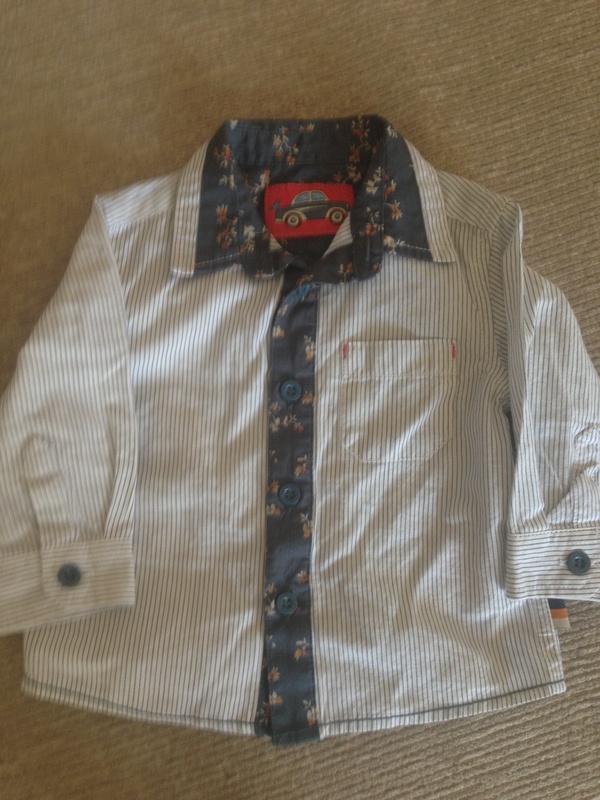 Baby’s first shirt… I’m sure we’ll find an occasion for him to wear it to! 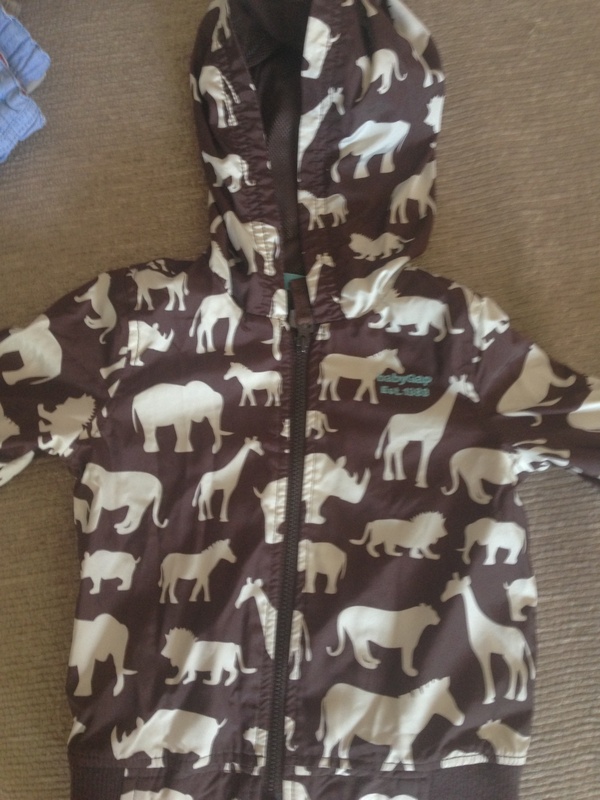 Some of you will know I have a thing for elephants so when I saw this rucksack, I had to have it – hope he likes it by the time he’s old enough to use it! 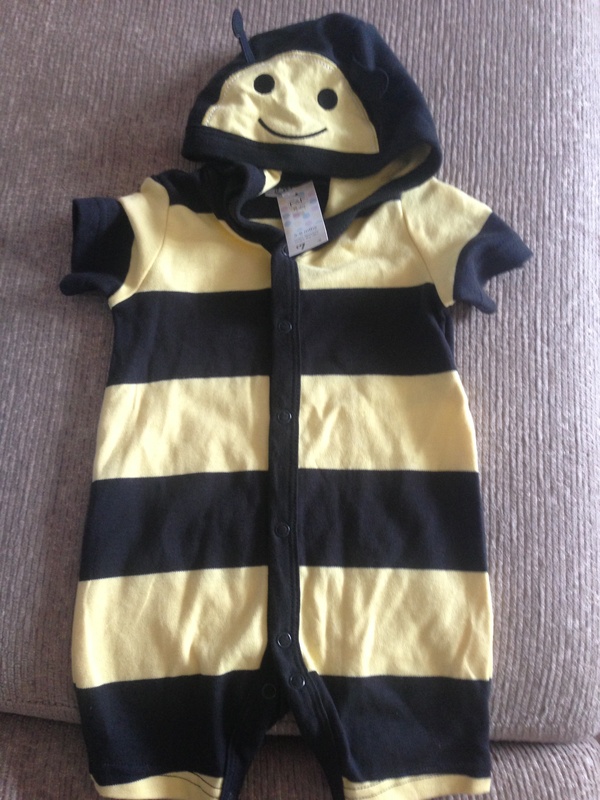 I also have a thing for bees, so I HAD to have this bee outfit – it still had the tags on it too so another great bargain! 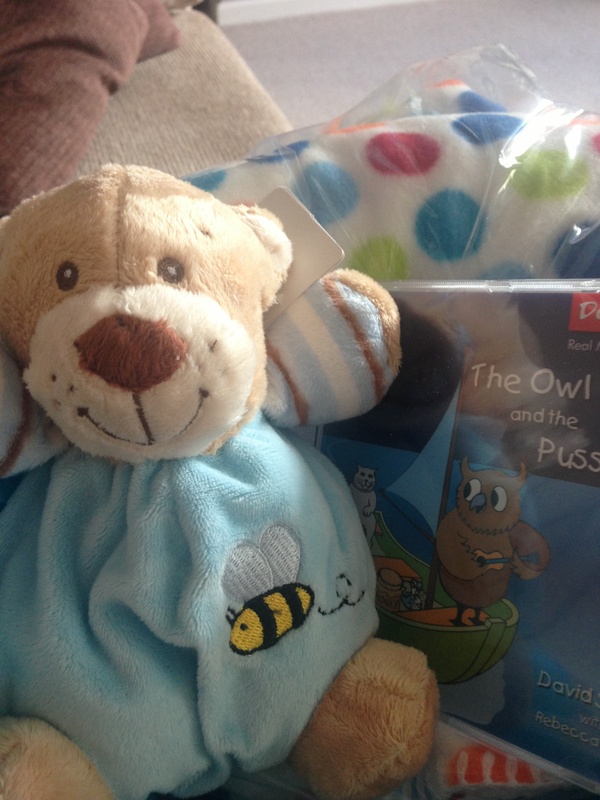 The above doesn’t quite add up to £23 – the remaining £5 or so I spent on 3 baby books – with textures, sounds etc. 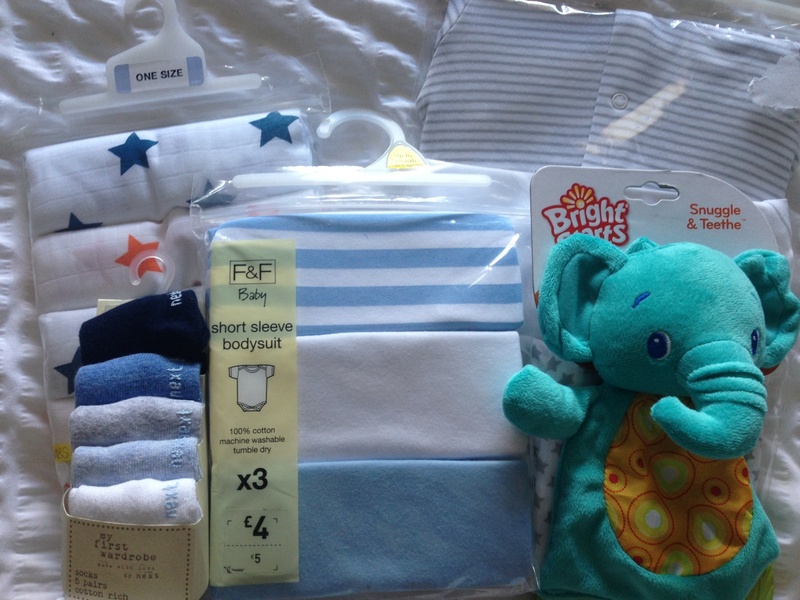 So what a bargain, I was seriously impressed as I wouldn’t normally buy any designer labels for baby, so at this price the haul was a real treat. 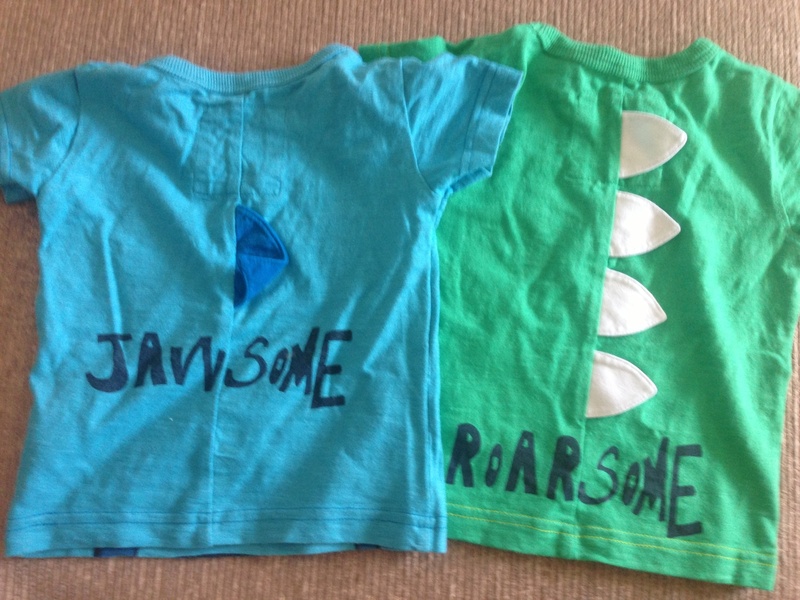 The quality on most items is really good, they really are nearly new – there’s only one t-shirt that shows a bit of wear/bobliness. 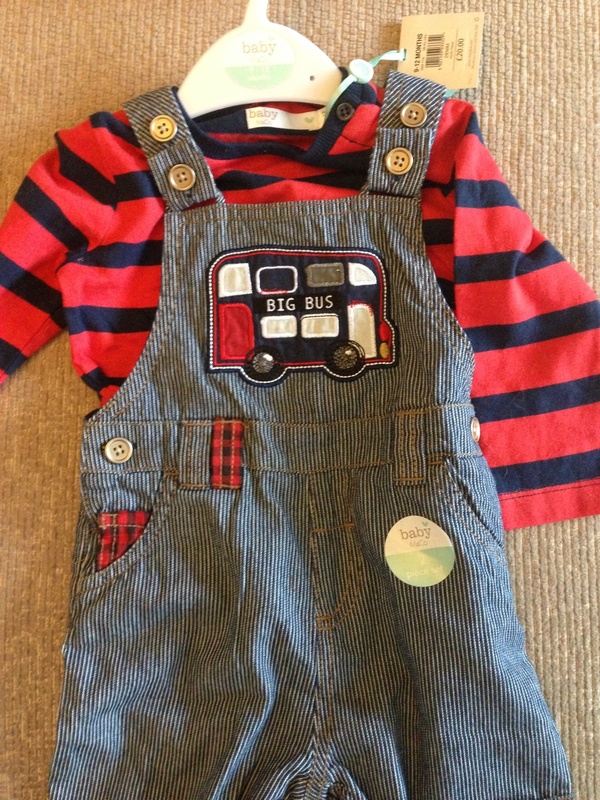 The next NCT sale in Cardiff is on September 26th 2014 – find out if you have one near you on their website. 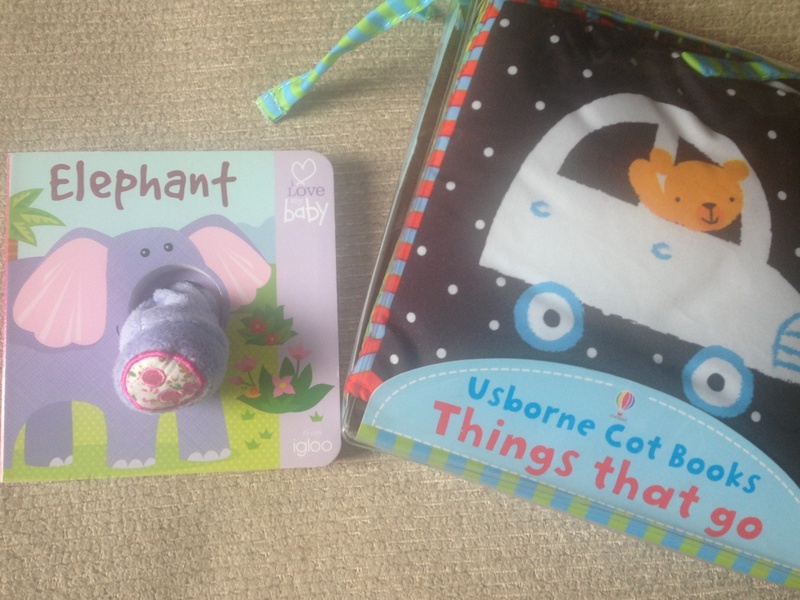 I was only interested in the clothes and books but they sell pretty much anything that’s baby-related! 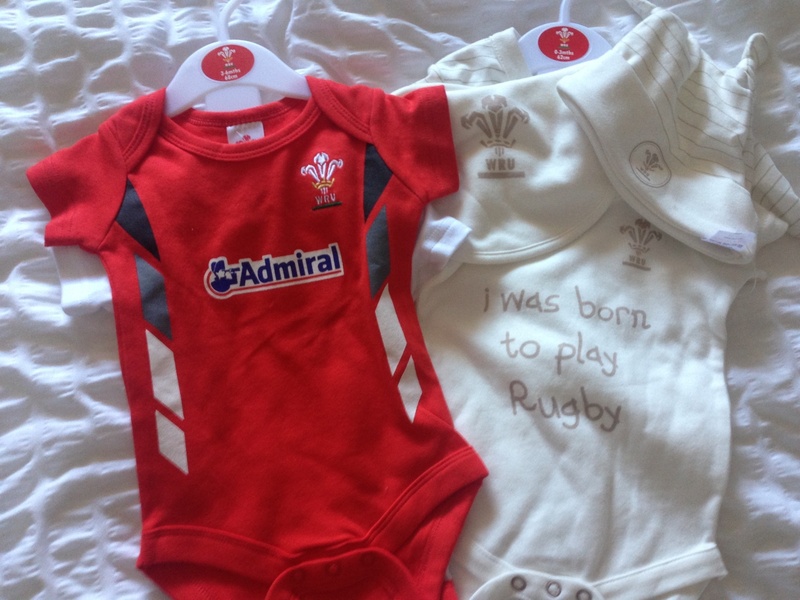 I will definitely be going to the next one…. will you?! 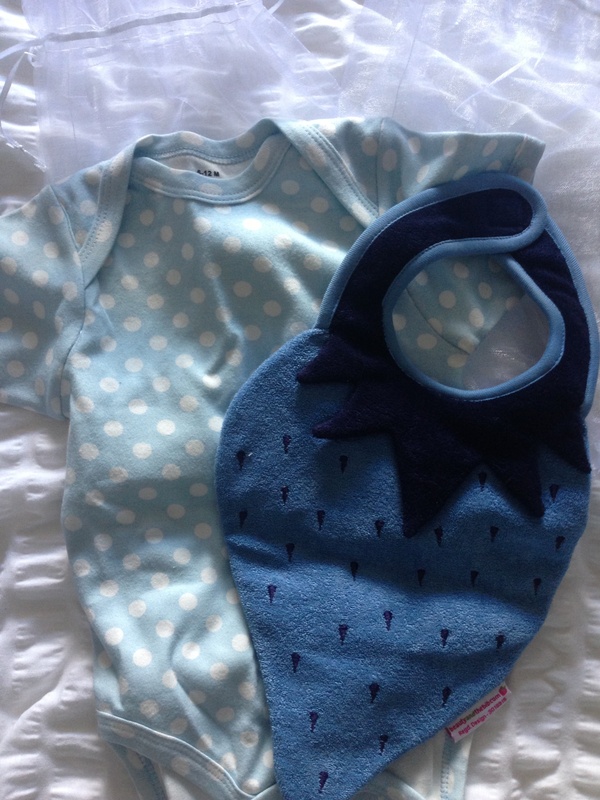 Although I was excited, I was also slightly nervous – I didn’t know what size I would be and whether things would fit me properly like they did pre-baby. 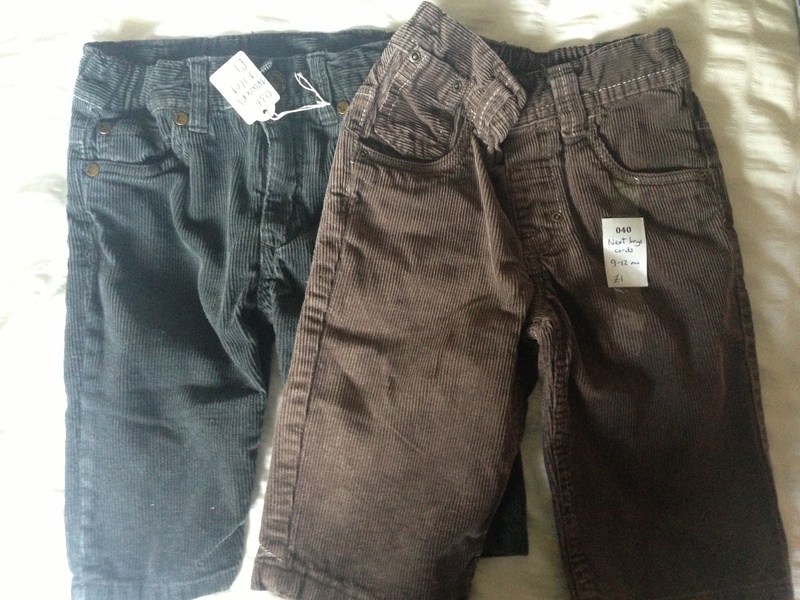 And I’m not great at clothes shopping at the best of times – I tend to stick to plain, classic stuff. 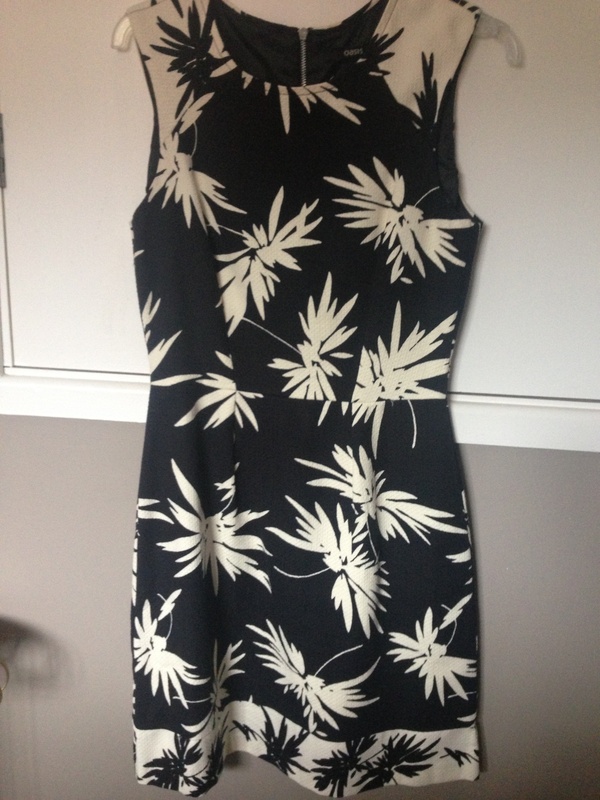 I haven’t worn this yet but love the fabric, print and shape. 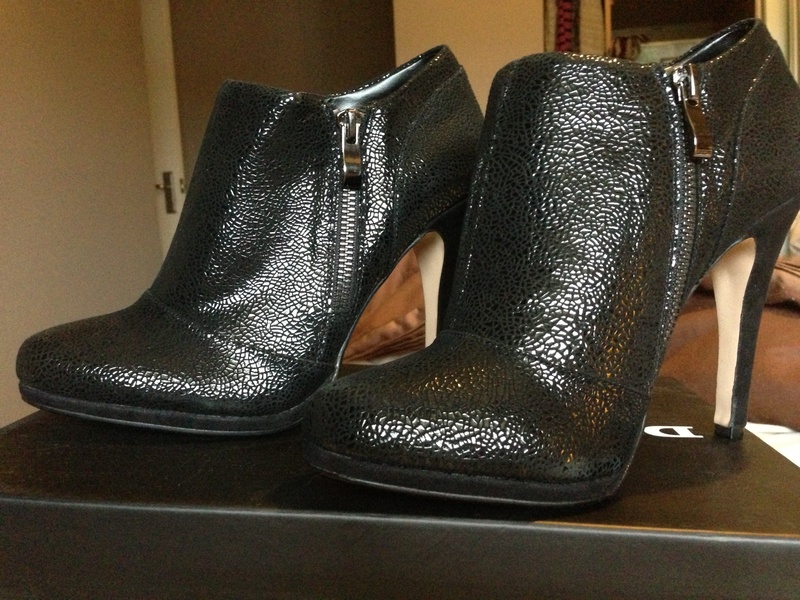 I think it will be lovely for a summer’s evening with a pair of jeans and heels or flats. 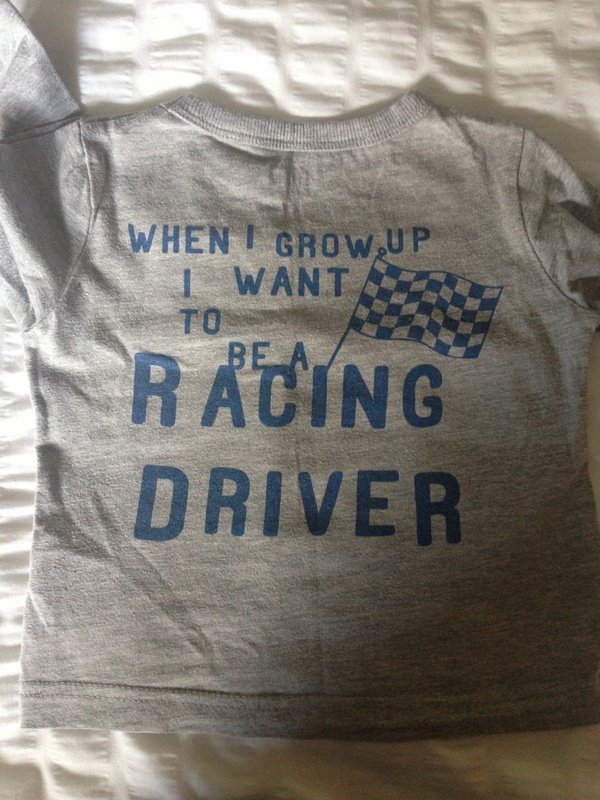 I could wear it to work when I go back too. 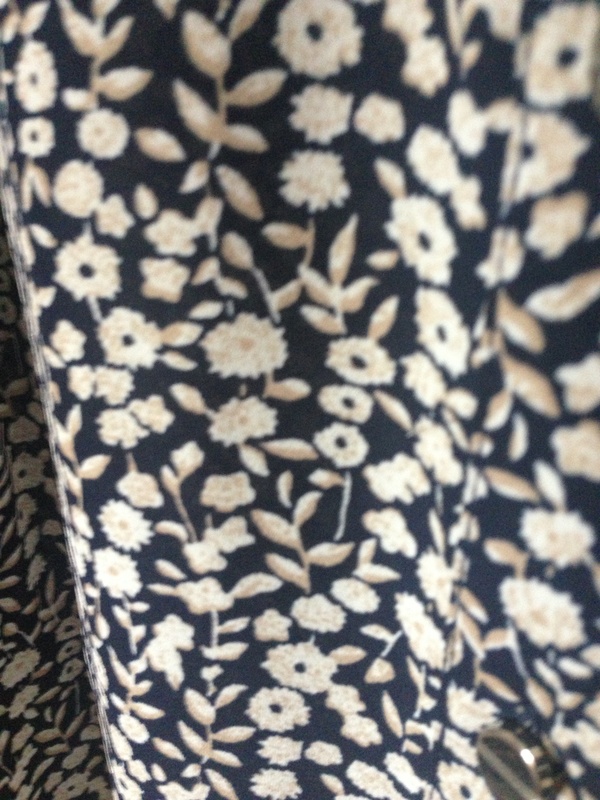 As I’m petite, these small prints tend to suit me. 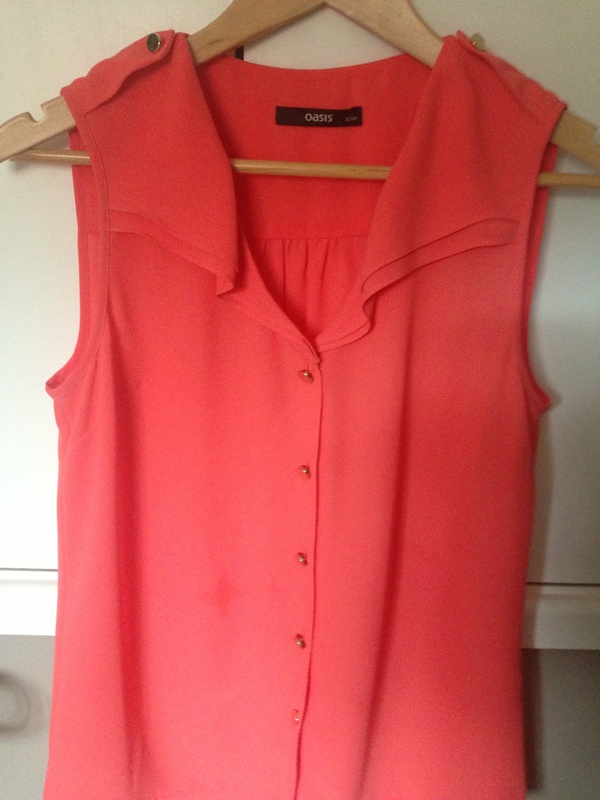 I normally stick to quite plain, dark colours so to move me out of my comfort zone I went for this coral blouse and I love it! 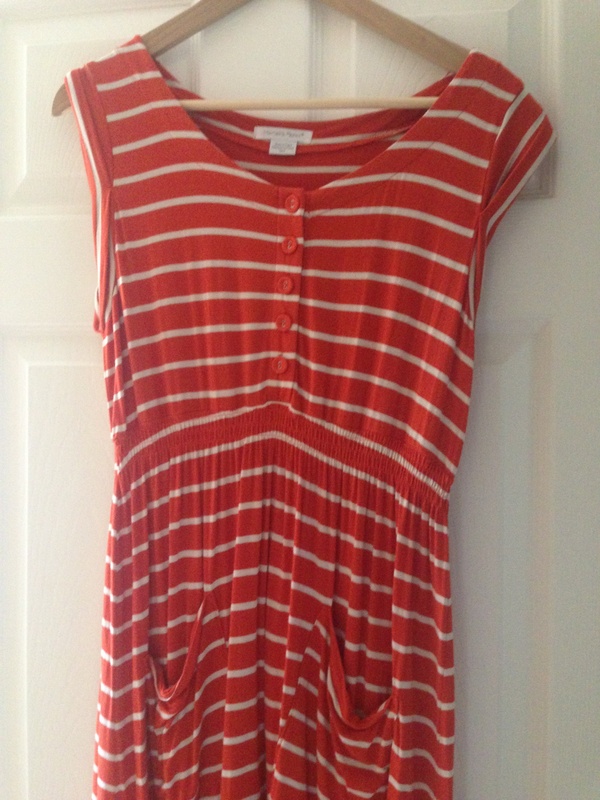 I think it’s perfect for summer and is a nice cheerful colour. 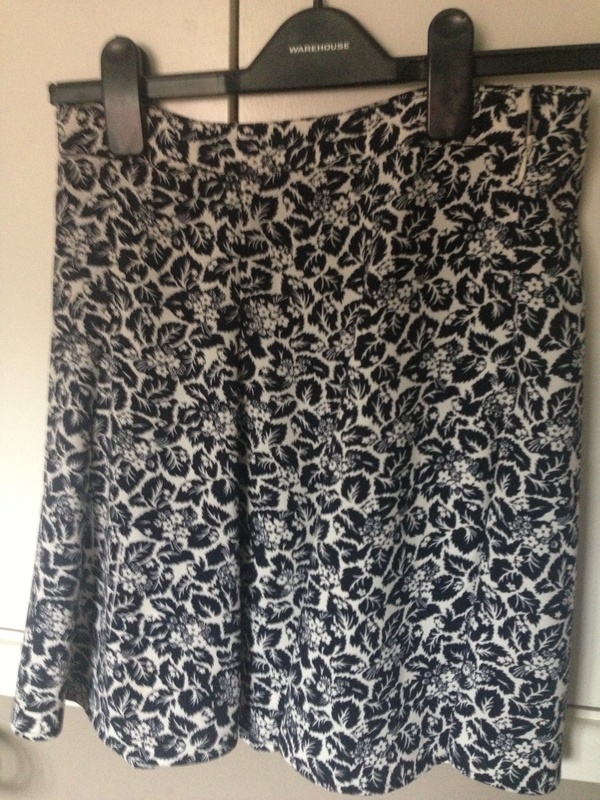 I’ve worn it with jeans and gladiator sandals a couple of evenings out already and paired it with a new skirt (below). 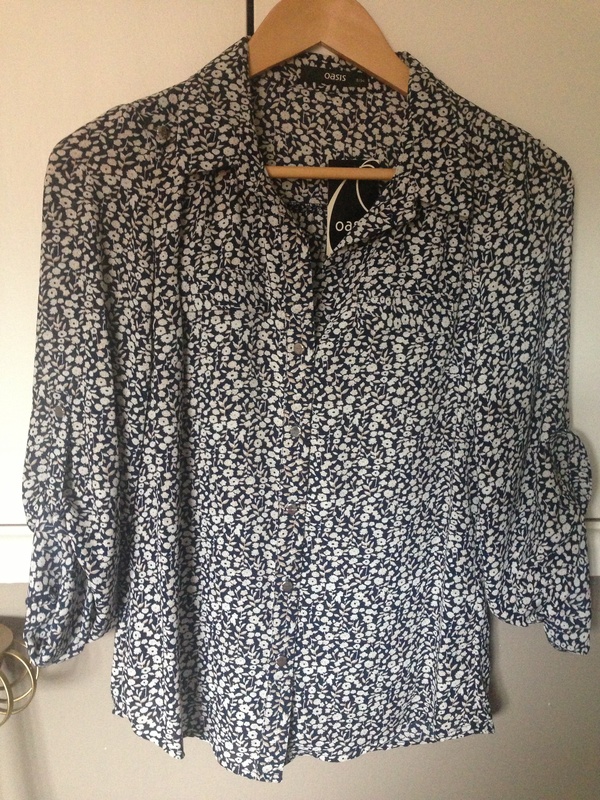 I love the buttons and ruffle details on it. it’s a bit see-through so got to wear a vest underneath it! As I said, I live in jeans so I wanted to get something different for my bottom half and I’m not sure I would get away with those pyjama-style trousers that everyone’s wearing. I have short legs (and my thighs are large in proportion to the rest of me!) 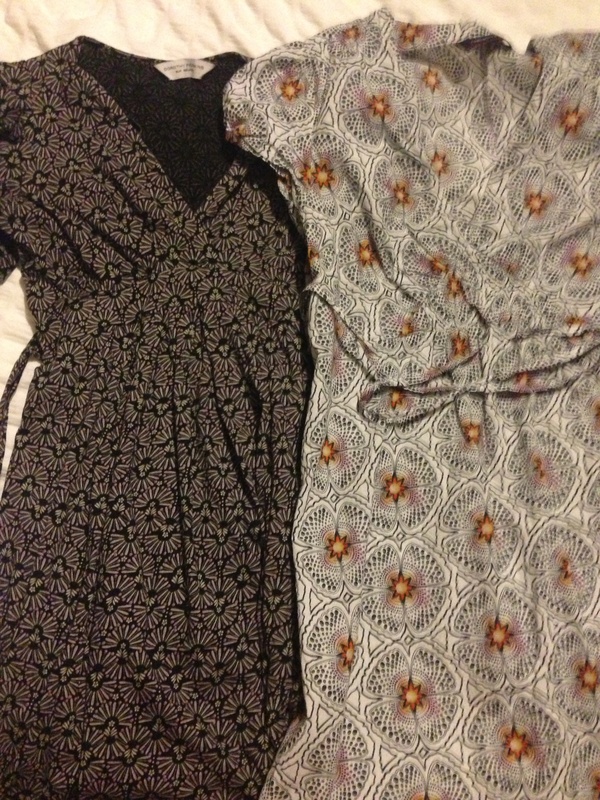 so I tend to avoid skinny jeans and very short/long skirts which make me look shorter. 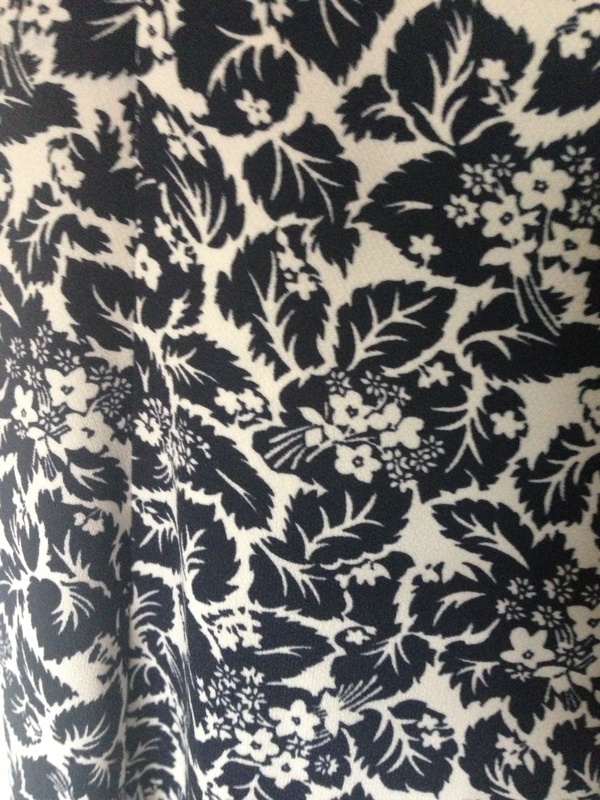 So this skirt was perfect in terms of length for me 🙂 Again, being petite I tend to go for smaller prints, so it ticks that box too. 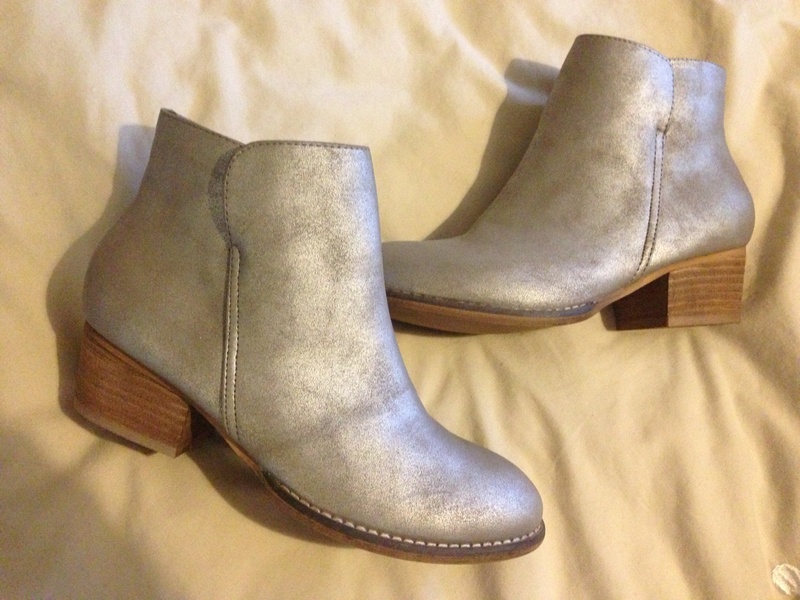 Oh and I plan to wear it with tights in the winter – perfect for work! 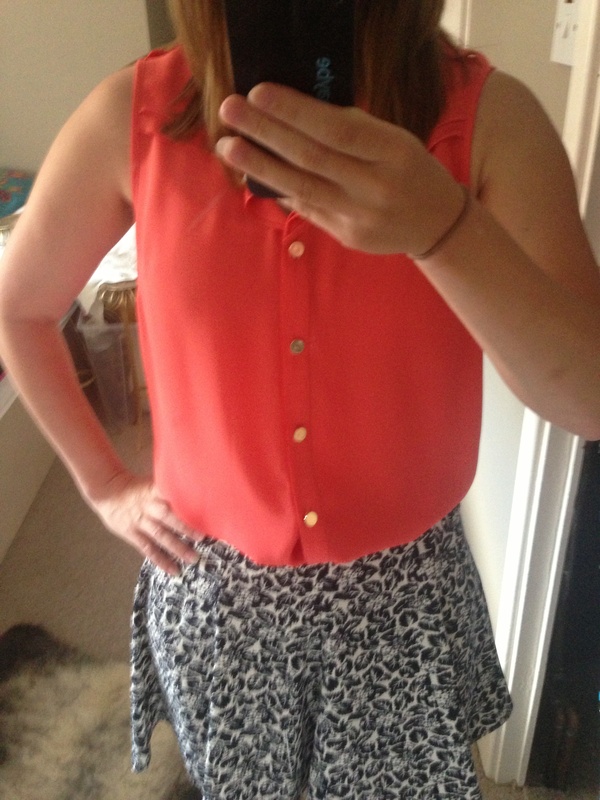 I teamed up the skirt with the coral blouse (and gold gladiator sandals) for the girly lunch I went on last week. 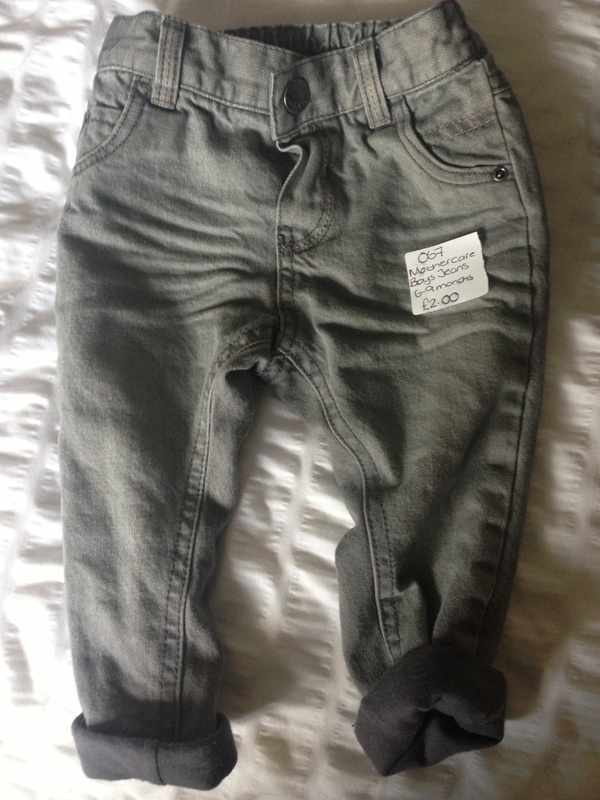 I’m not entirely sure they go, but I thought it looked ok… and it was SO nice to dress up a bit and peel myself out of my jeans! 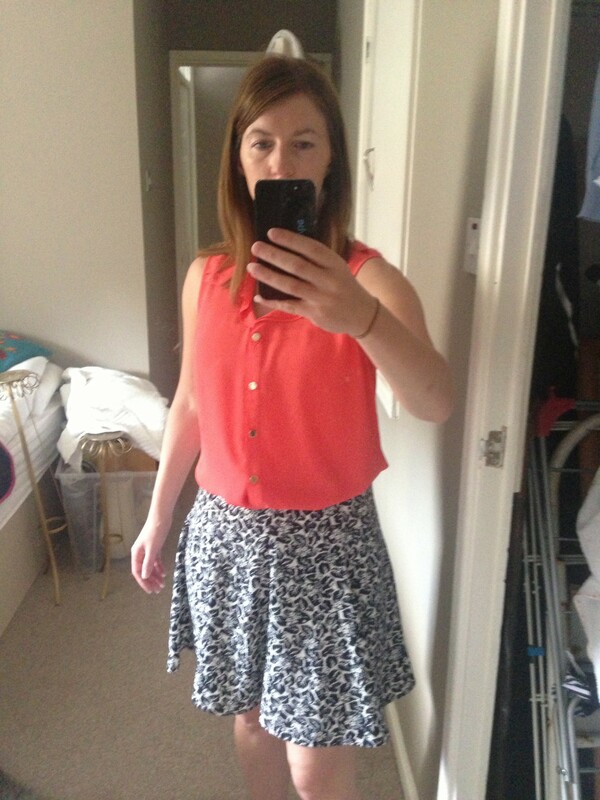 A bad selfie of my new outfit from Oasis! I have purposefully forgotten how much these add up to as I paid full price for them, but you’ll be pleased to know that most of these are in their sale now! 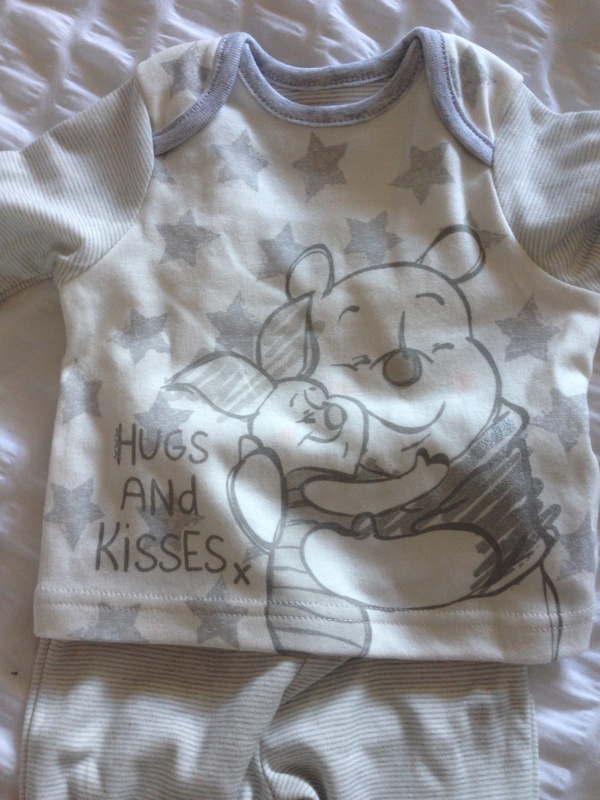 So there we have it – mummy’s new wardrobe. They met my brief of glamming me up a bit and making me feel a bit more yummy! 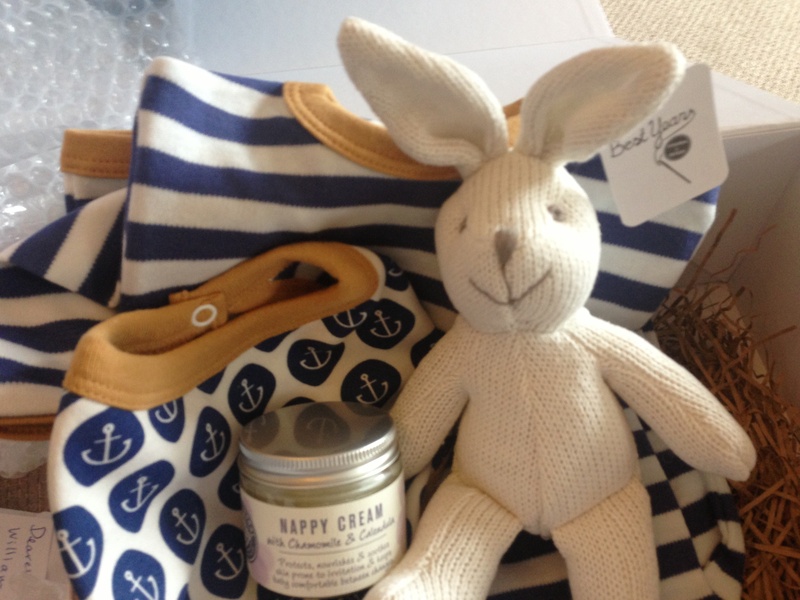 Did you treat yourself to anything new once baby had arrived? 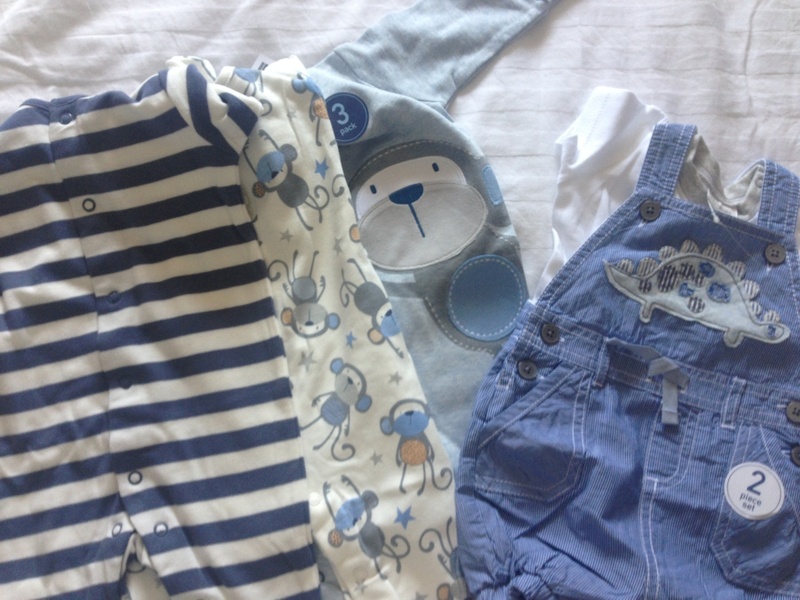 8 weeks post-labour and I can fit into (most of) my pre-pregnancy clothes so it’s with mixed emotions that I pack away my maternity clothes. 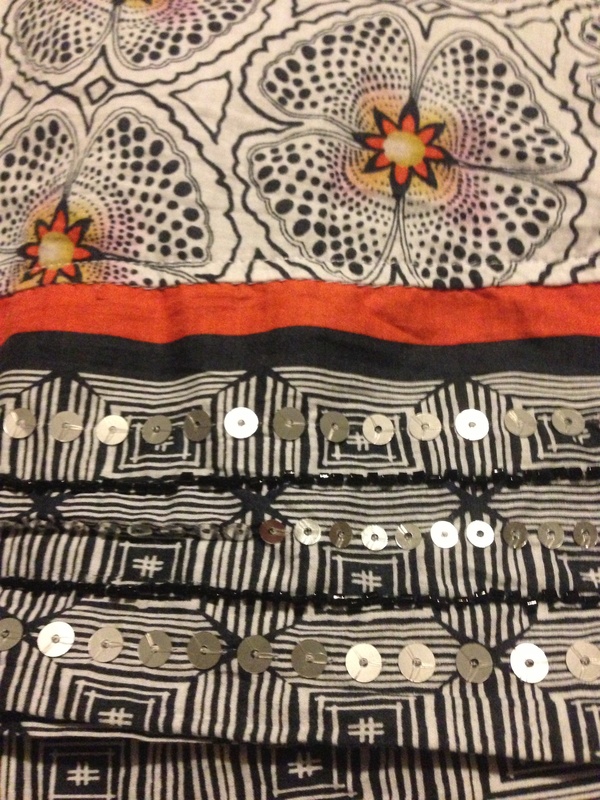 -I didn’t fit into any of my shorts or summer dresses! 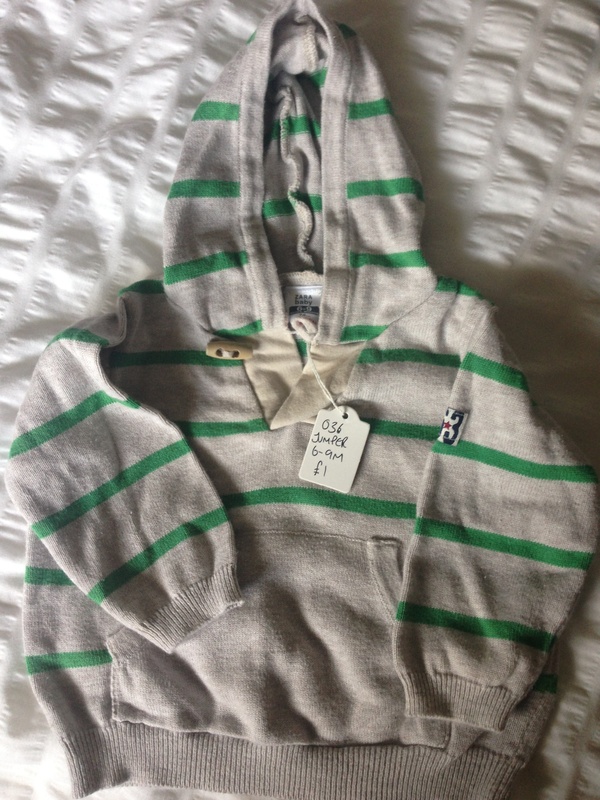 -Shops were only just starting to sell summer-wear eek! 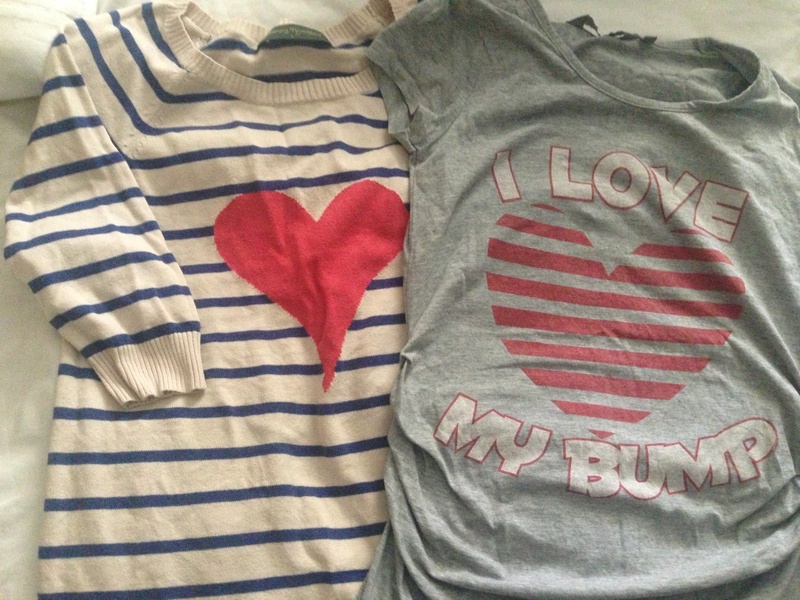 So my first experience of buying maternity wear was a few holiday items…. 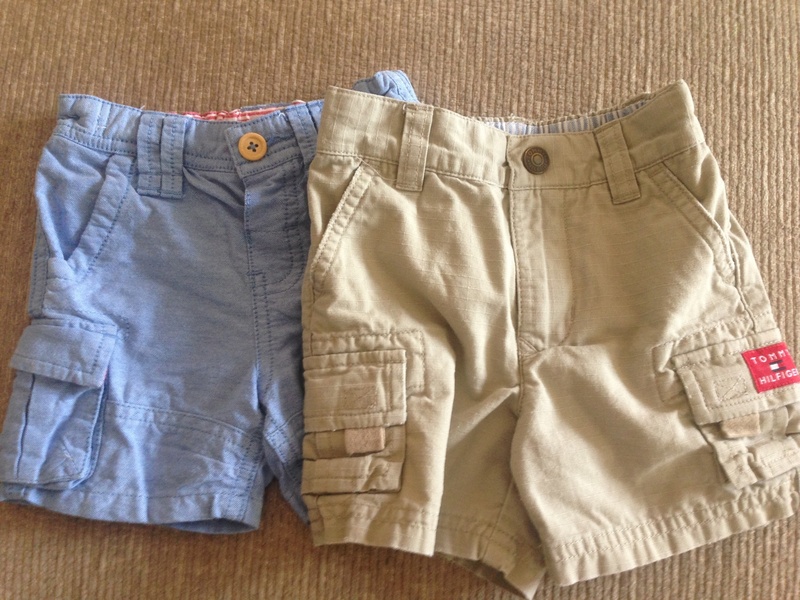 Maternity bikini bottoms vs pre-maternity! 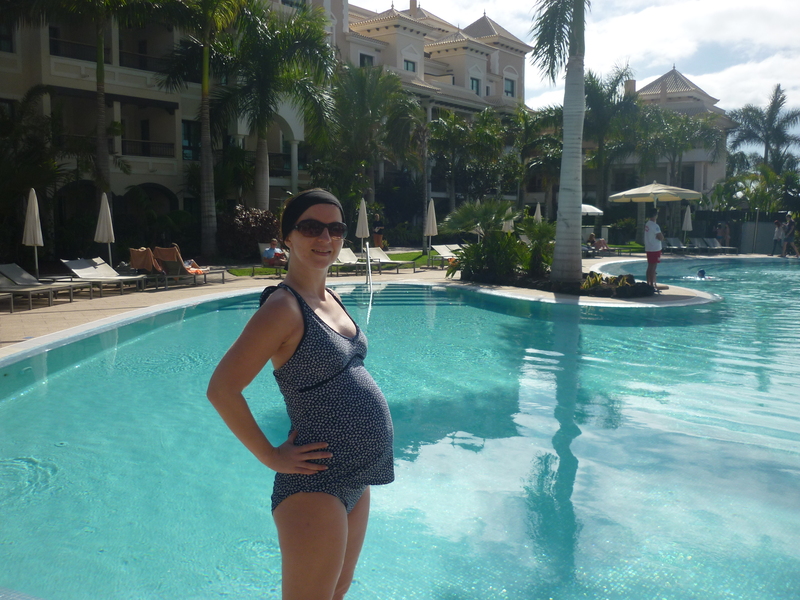 Tankini from JoJo Maman LeBeBe on babymoon in Tenerife!Tankini from JoJo Maman LeBeBe on babymoon in Tenerife! 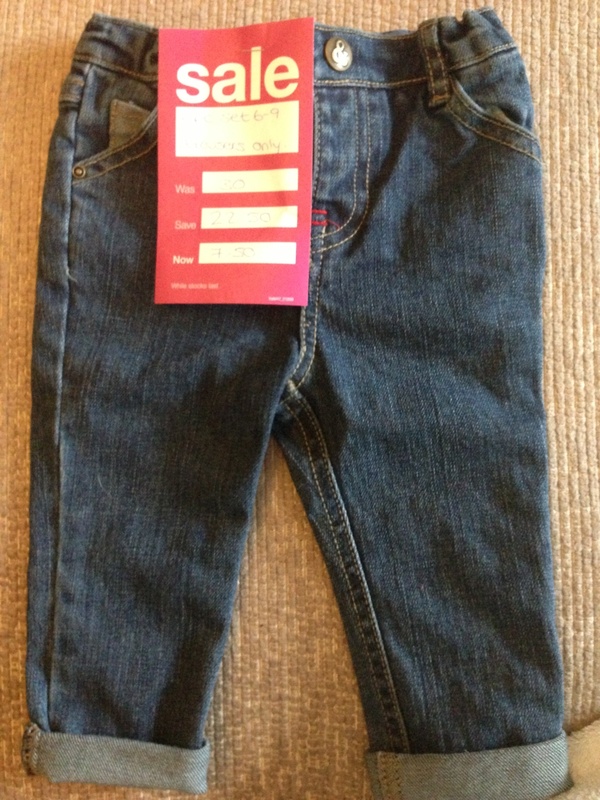 It’s lucky I bought the jeans as when I left for Tenerife I was still in my ‘normal’ jeans, but by the time I left (helped by all-inclusive food!) I couldn’t get into them! 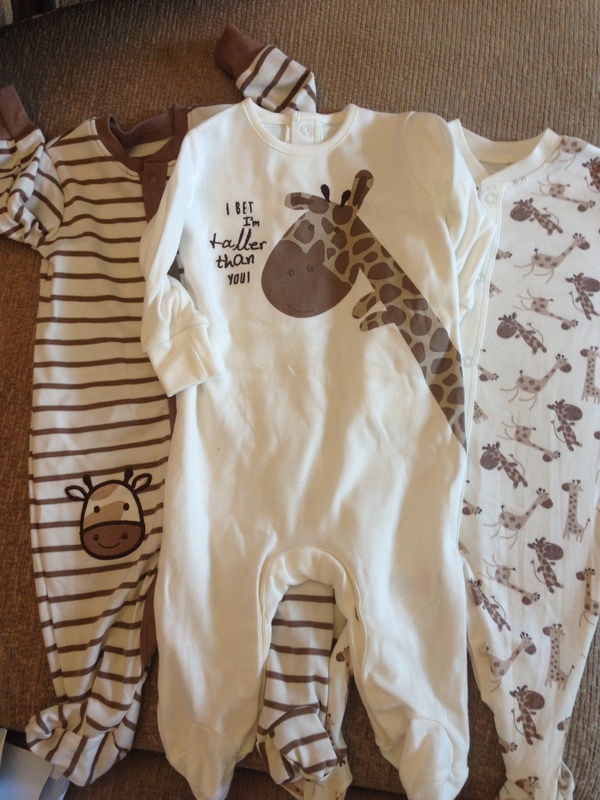 I wore these for about 95% of the rest of my pregnancy days (my workplace has a casual dress code)… love them! 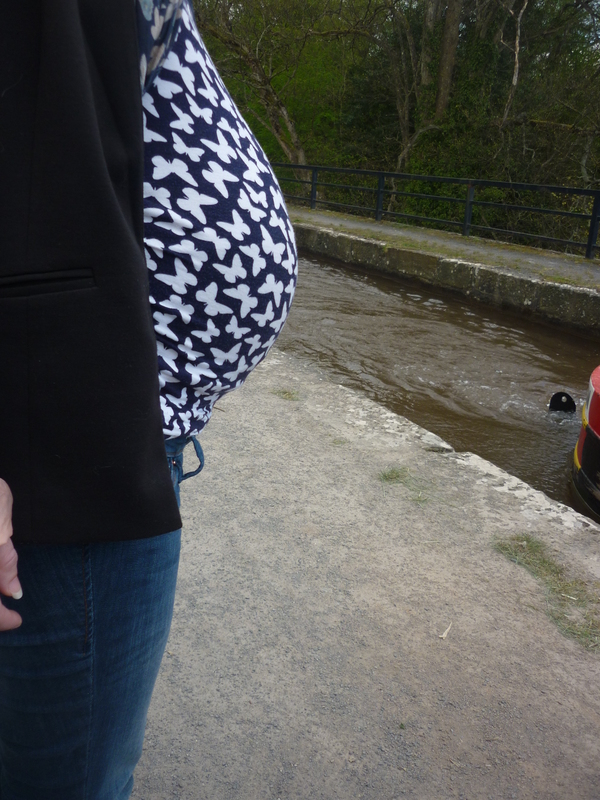 Bean wearing Red Herring butterfly top, canal side! 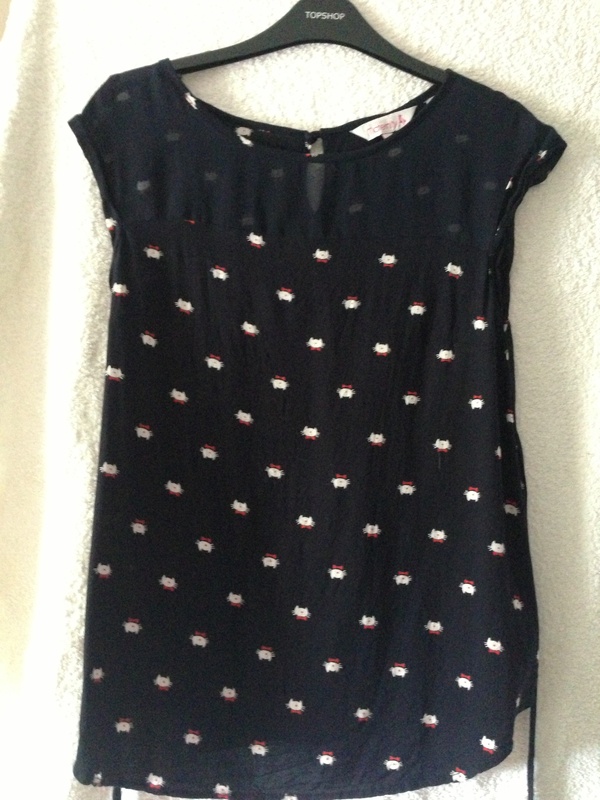 These were my staple tops to go with the jeans, both very flattering, comfy and functional and to mix it up I could accessorise with different scarves etc.. the one below I loved as well, I’m a fan of Hello Kitty and loads of people thought I’d bought a Hello kitty top! 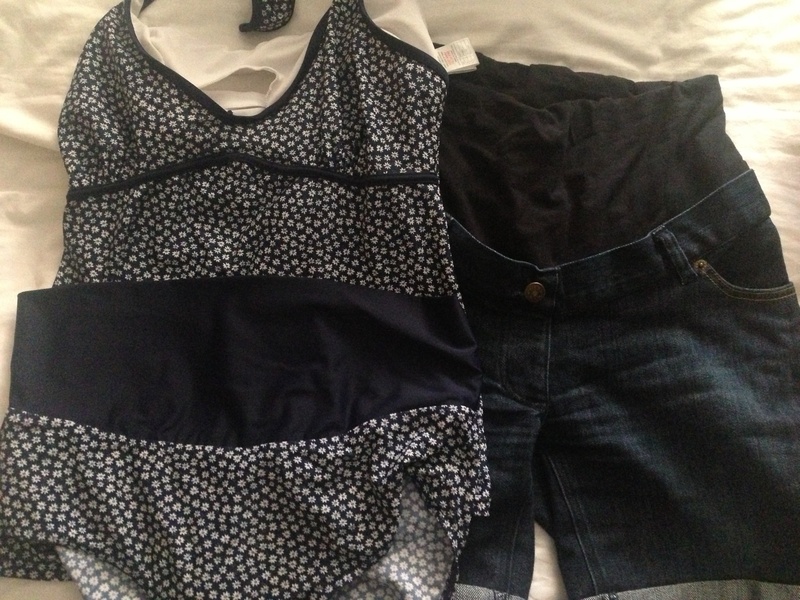 I also bought some basic vests from H&M which I could wear with various non-maternity cardies. 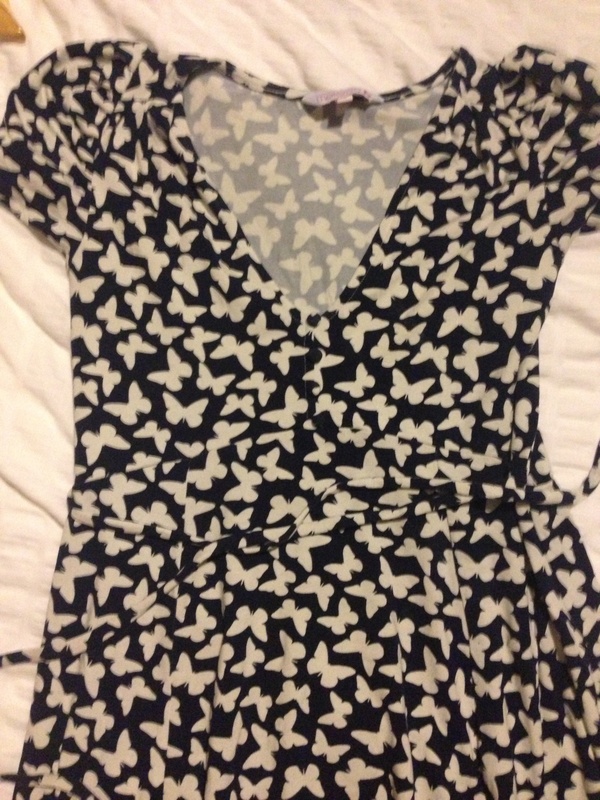 I loved these prints at Red Herring – as well as the butterfly print top, I got the dress in the same print – the fabric on the dress was much thicker, so very good quality – would last a long time and wish I had worn it a few more times now…. 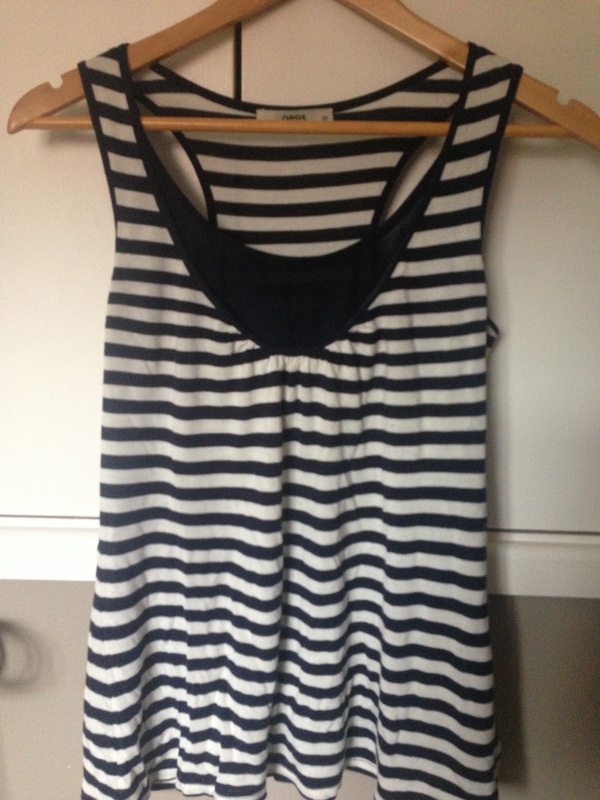 This summer dress was a perfect beach/cover-up dress for our babymoon – very comfy! 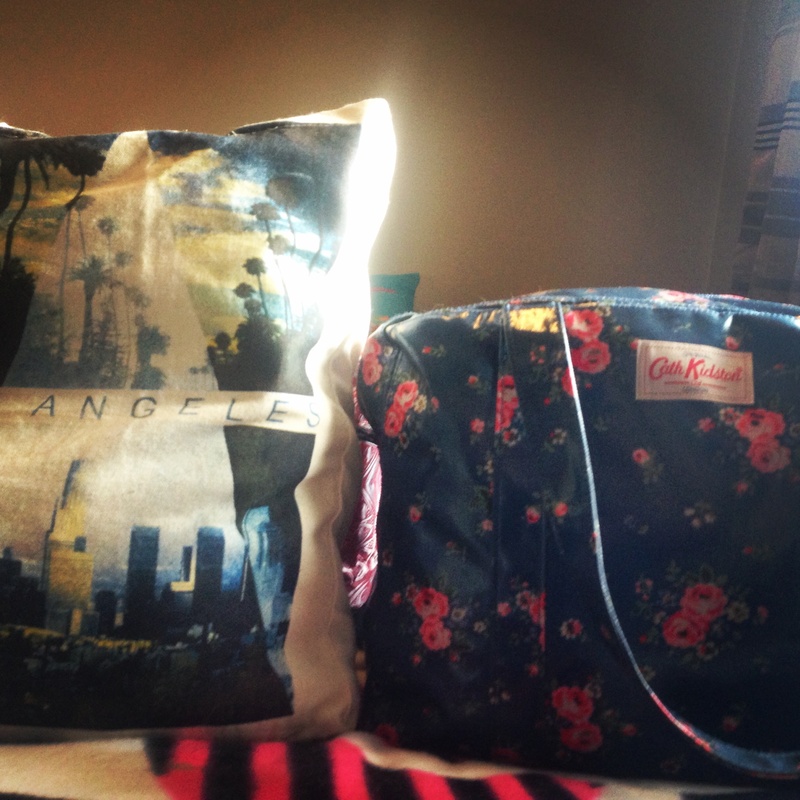 I had packed it in my hospital bag as a comfy coming home outfit but wore my pj bottoms in the end! 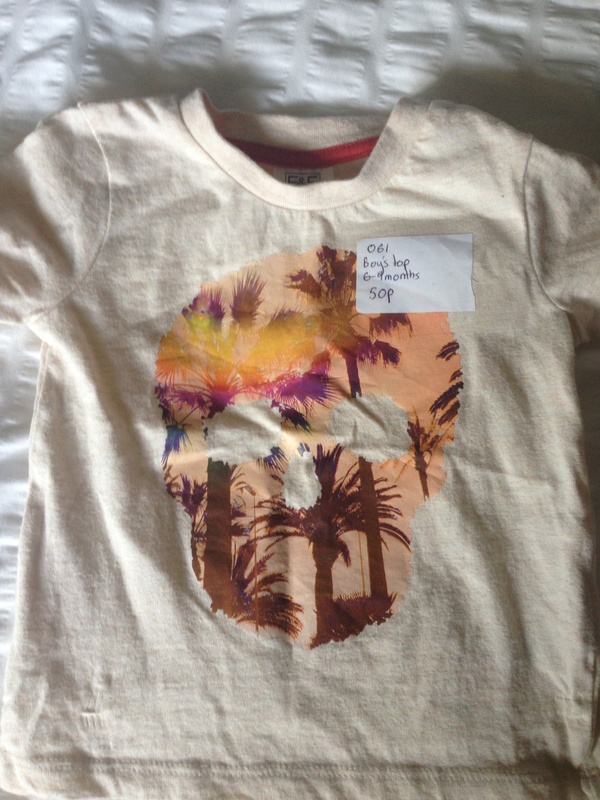 This T-shirt is another fave – I ended up wearing it throughout my labour! 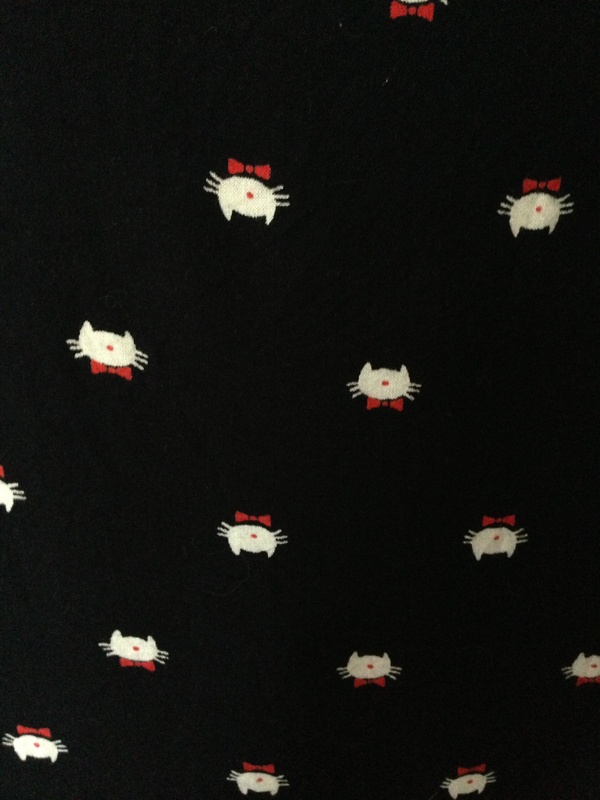 Excellent quality, love the print and the cut was not too tight. 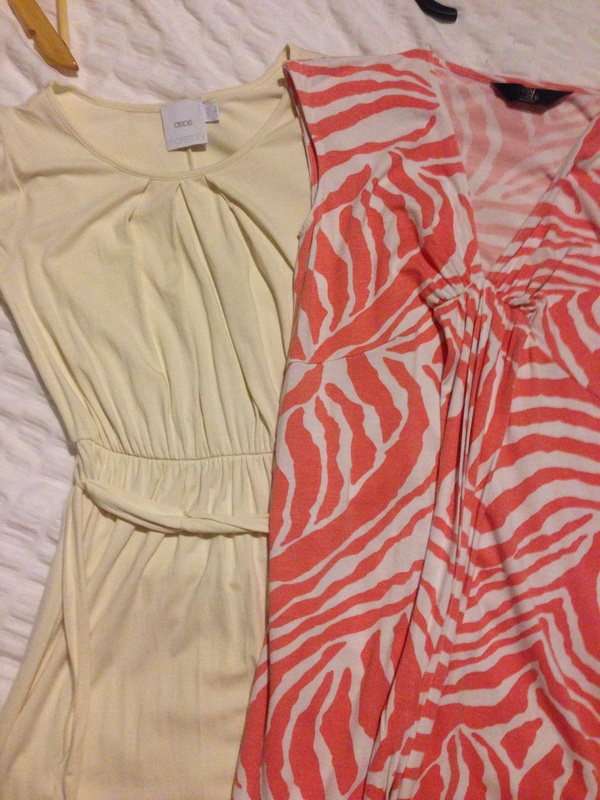 And some poor decisions – dresses I didn’t wear as the weather wasn’t as nice as hoped by May! 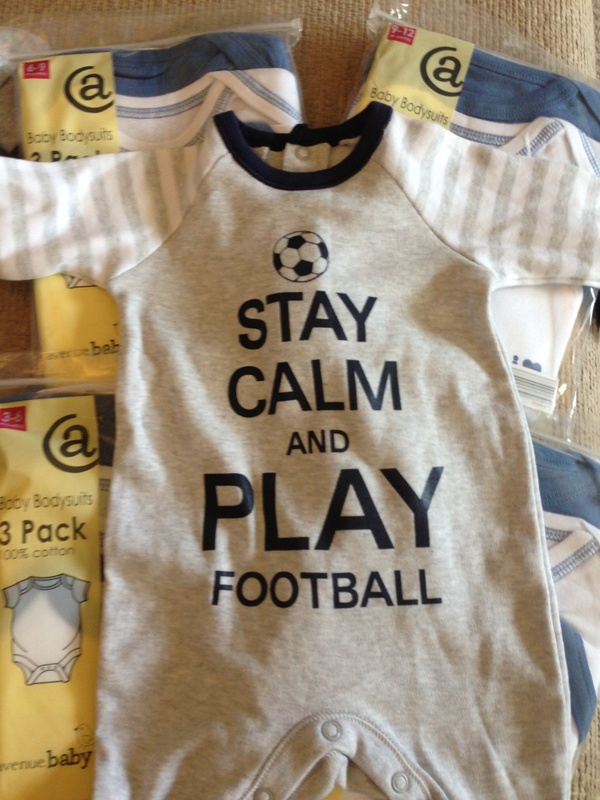 Things that don’t suit you pre-maternity probably won’t suit you during maternity! 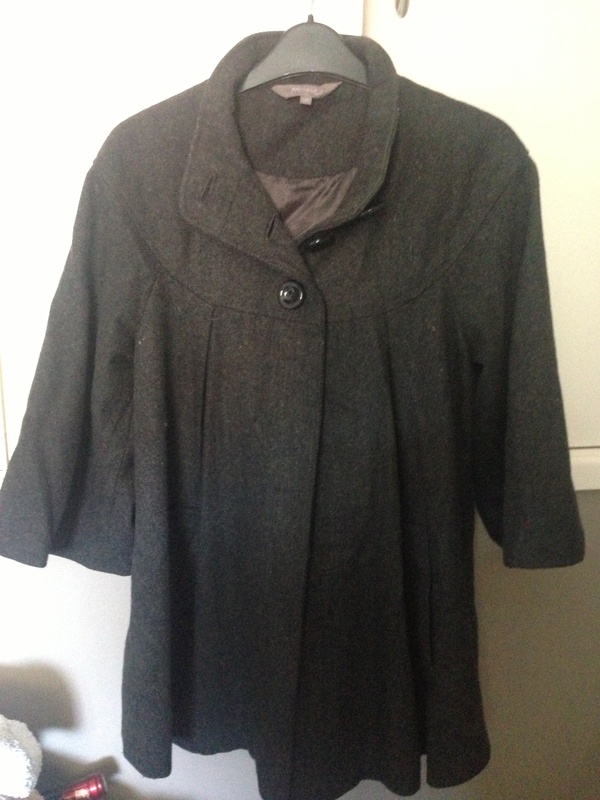 New Look maternity cape coat – lovely and great quality but would never suit me! I know I didn’t buy a large amount and there’s lots more available (at a price perhaps) but I did find the choices quite limited and boring… Lots of stripes, lots of plain stuff, not enough quirky/cool prints (more of those butterfly fabrics for example)… when some of the shops like New Look tried to use nice prints, I felt that the fabrics felt a bit cheap (you can’t win!). As you can see from above -I think Red Herring do this well, so more from them would be great! 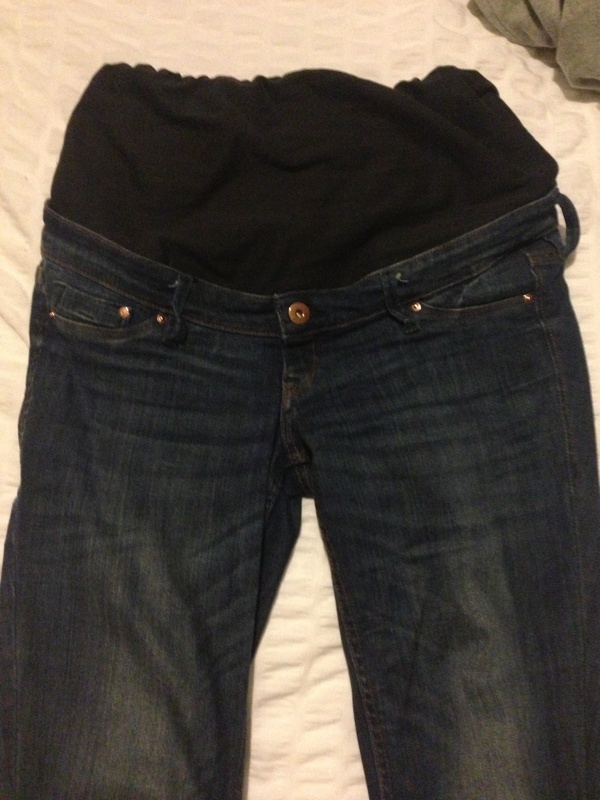 So there we have it, end of an era, it’s all going up to the loft… Apart from those jeans ( still SO comfy!!) 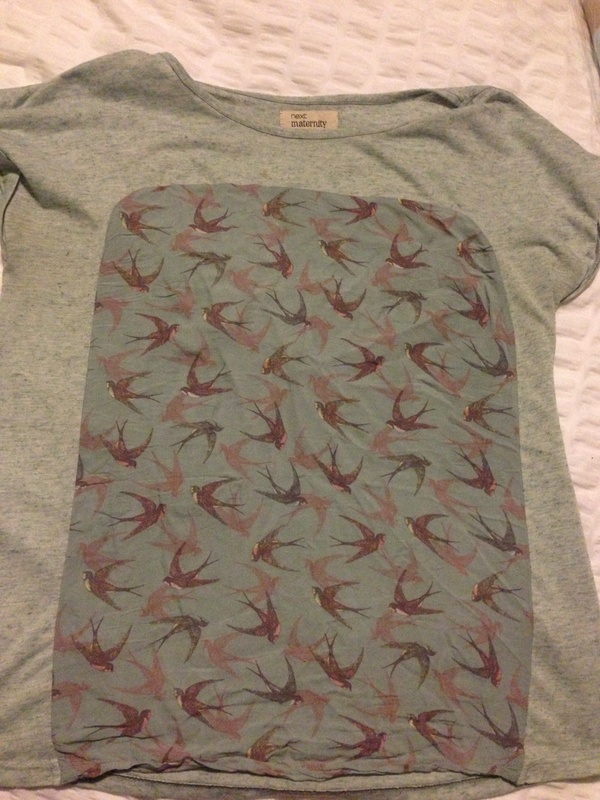 and my special purchase… The t-shirt I ended up wearing for labour… Has too many memories to go into the loft and still looks ok as a loose t-shirt! 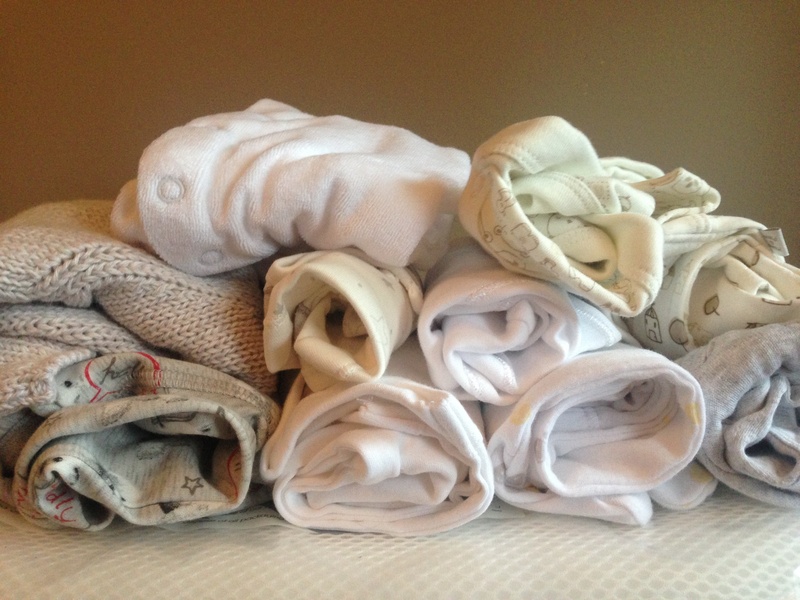 How did you find maternity clothes? How much did you spend? 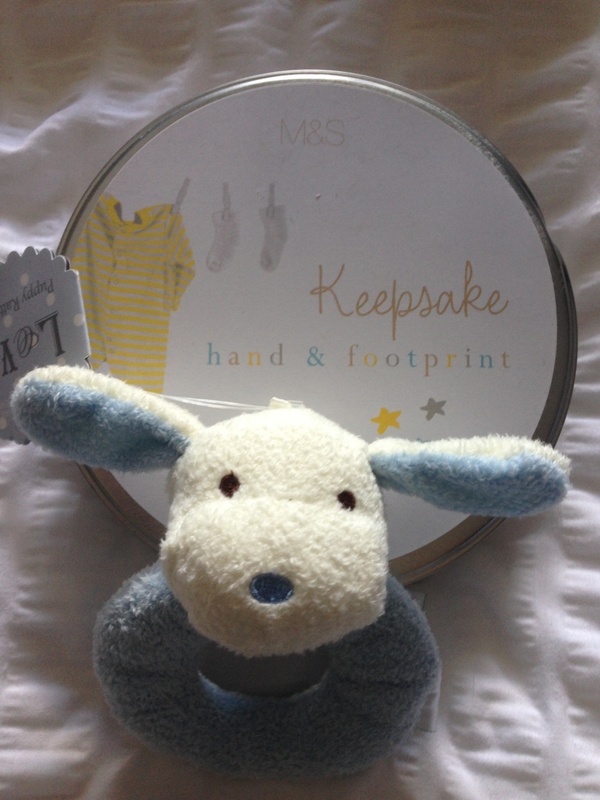 What were your favourite maternity shops?! 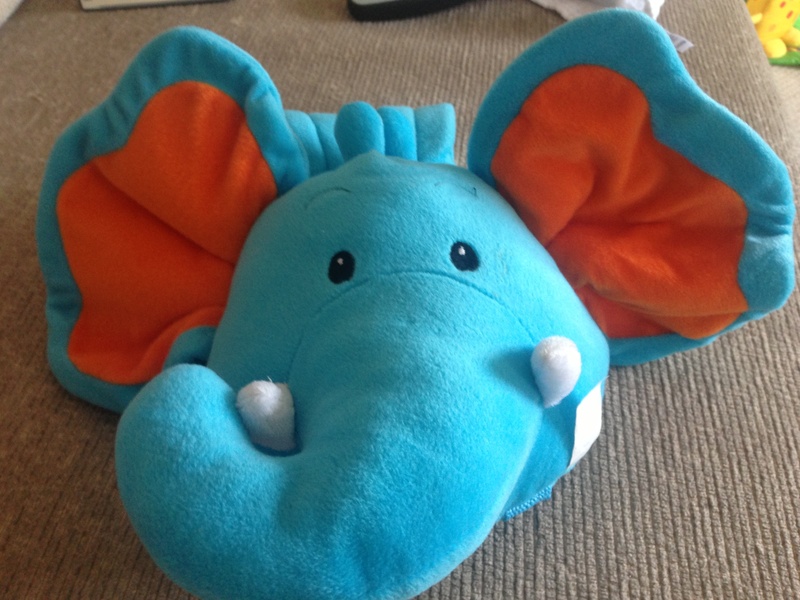 So with just #3daystogo I left it slightly late to finish packing my bags although we did start a couple of weeks ago… most people suggest having it ready a month in advance but I am always a last-minute Minnie! So, we have 2 bags – roughly 1 for labour, 1 for post-labour (I say roughly as one is a bit fuller than the other so they’re having to share a bit of space ;)) I’ve used bags instead of a suitcase for easy access… but the labour one is full and heavy so I imagine we might re-think that before we go! 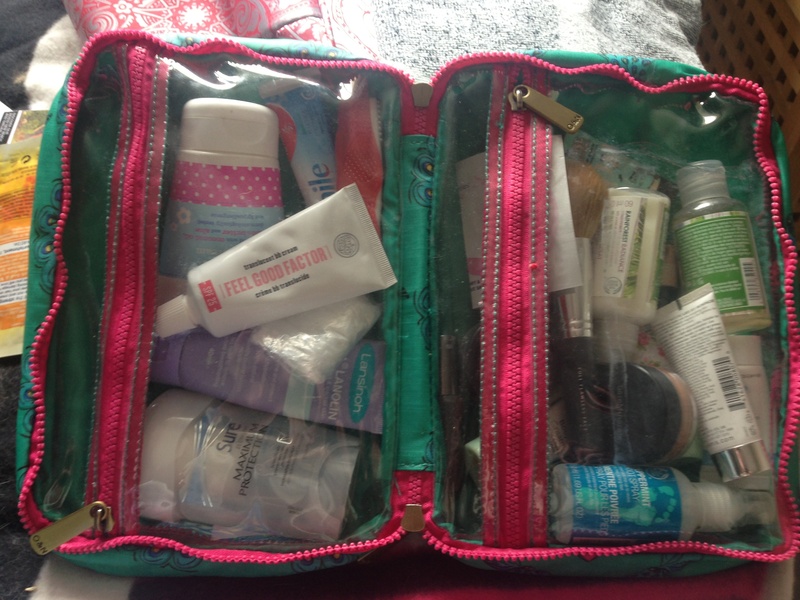 What’s in the labour bag? 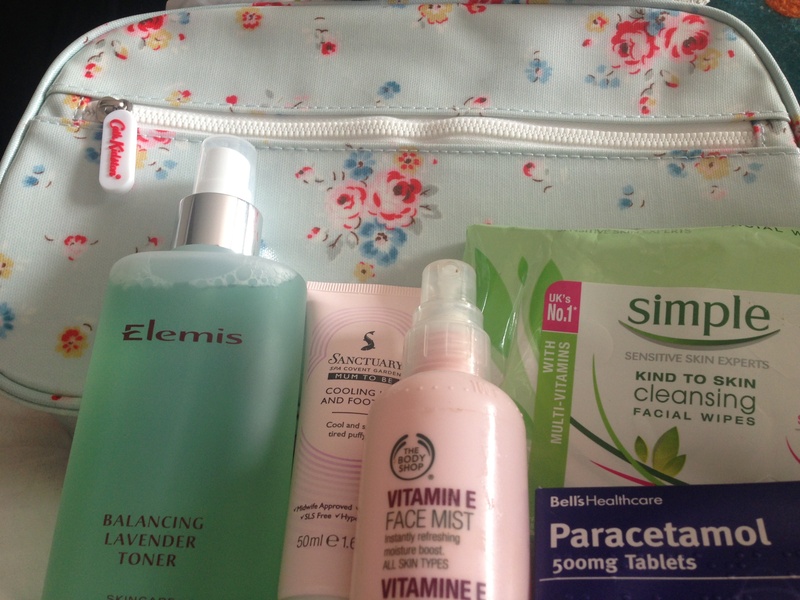 What’s in the post-labour bag? 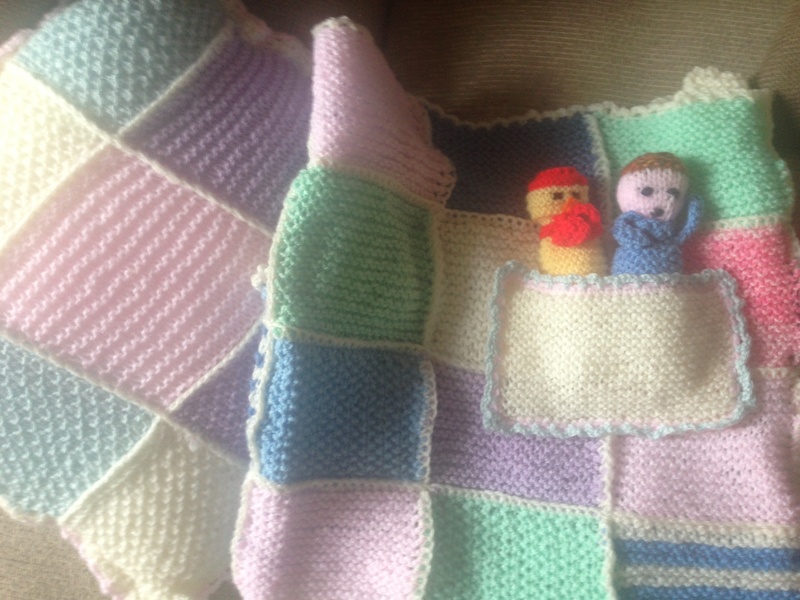 Paracetamol – a friend told me these are handy post-birth as I might be in some pain and will have to wait AGES if I ask the staff for some! 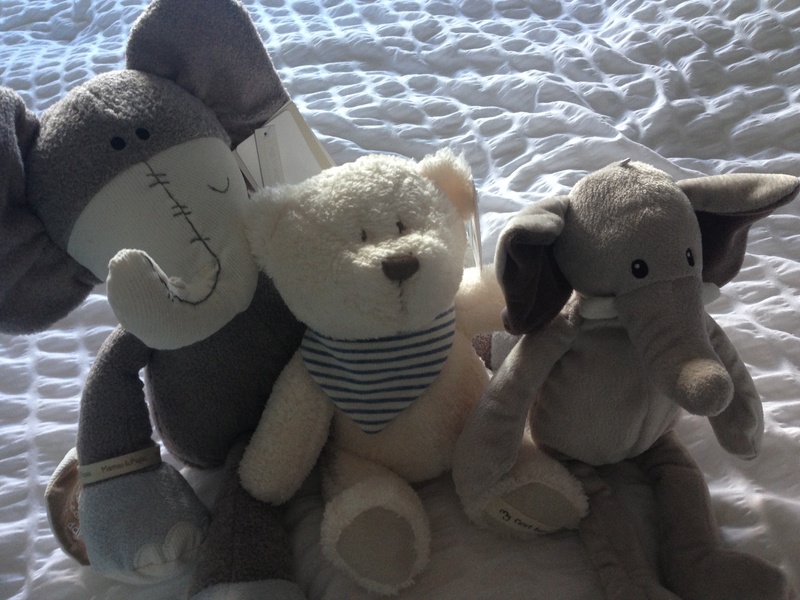 Towel – for post-shower etc -everyone says to pack an old, dark one – well this is one of those but also has a funny story behind it – this is an ‘I love Greece’ one that I bought the day that we think Bean was conceived on – and I was sick on next to the pool as I was so hungover! 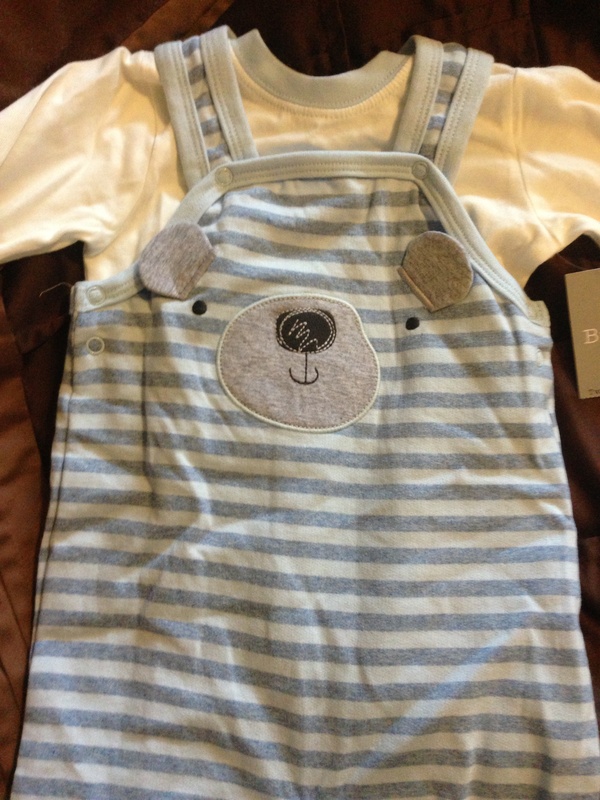 About 10 outfits – vests/sleepsuits – we’ve only packed that many due to the range in sizes! Hard to guess which ones will fit best! 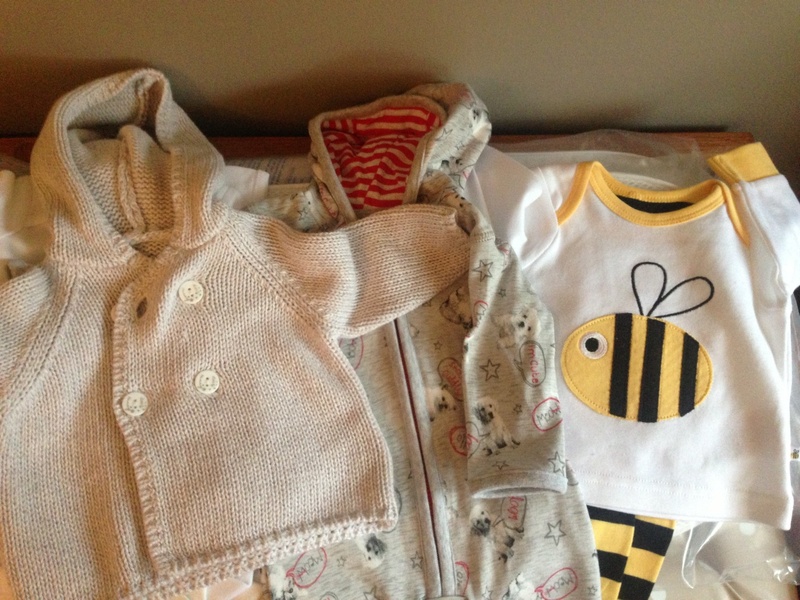 Enough baby outfits for hospital? Must remember to pack my iPhone charger on the day… oh and the hospital notes! 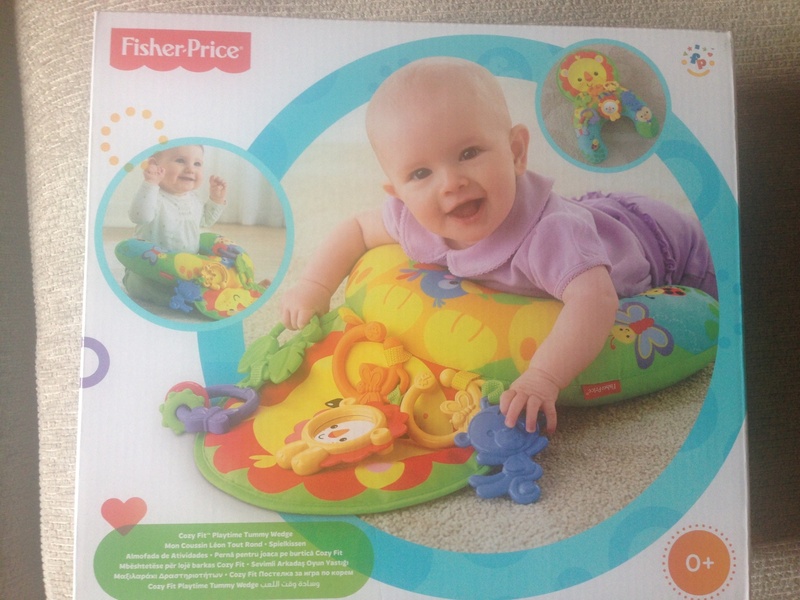 Author yummybloggerPosted on April 29, 2014 September 15, 2014 Categories beauty, haul, pregnancyTags bag, childbirth, labour, pack, pregnancy9 Comments on What’s in my hospital bag?